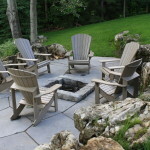 enviroscape inc., Author at enviroscape inc.
You are here: Home / Archives for enviroscape inc.
March 15, 2017 by enviroscape inc. 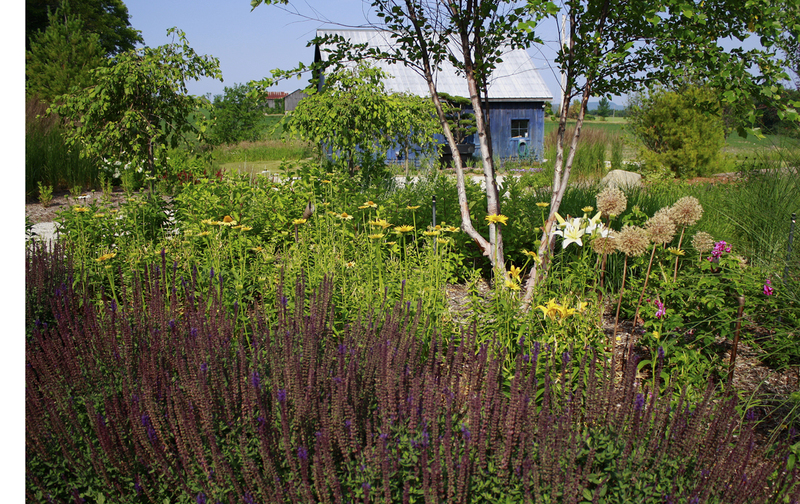 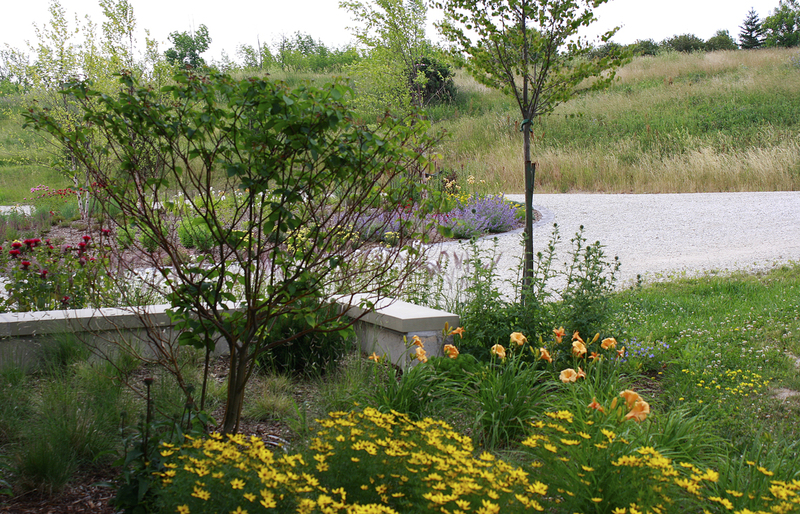 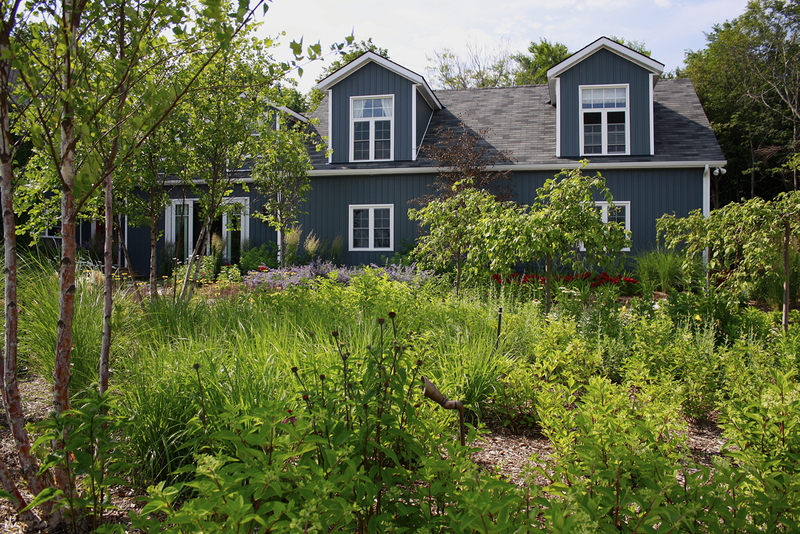 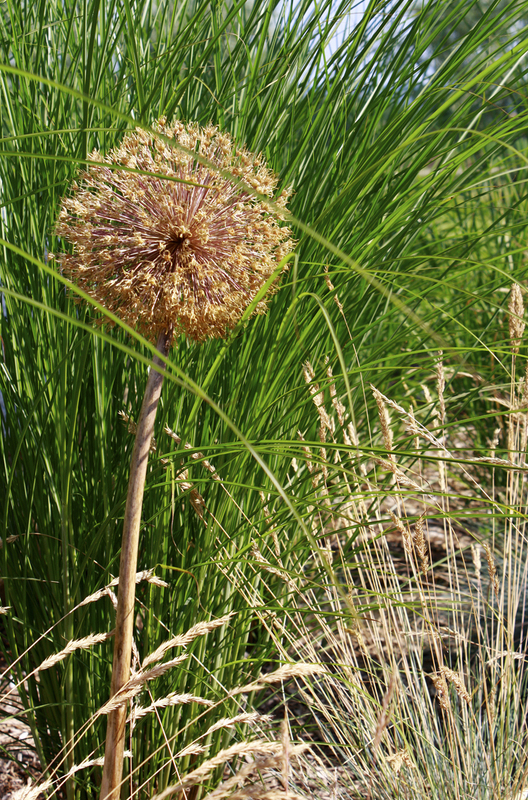 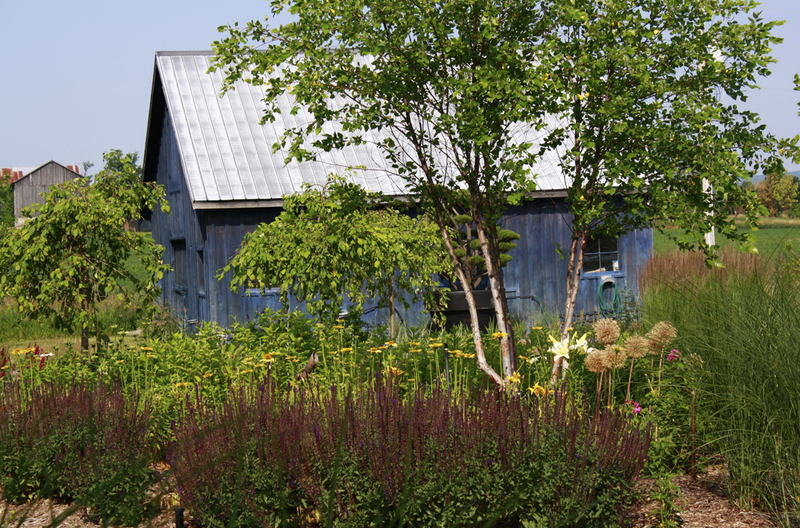 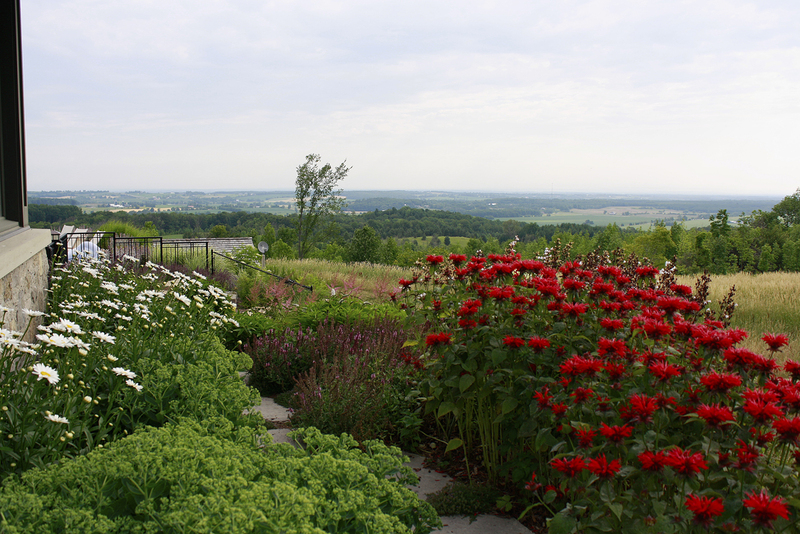 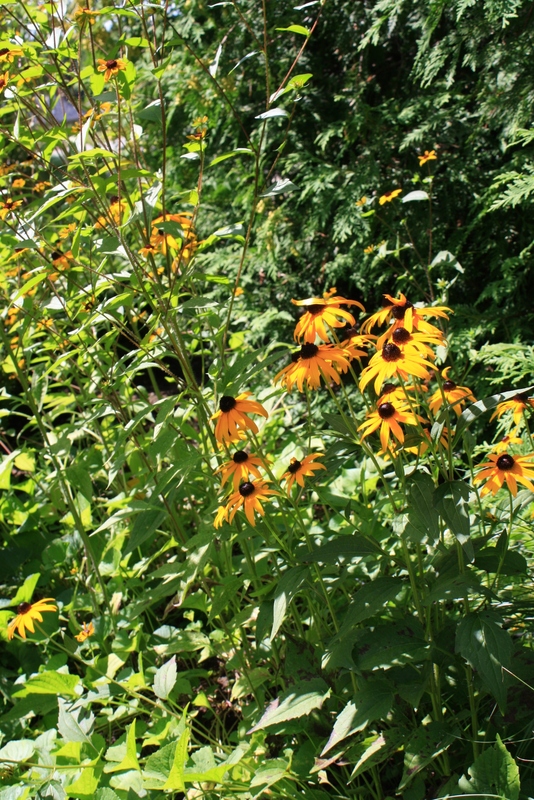 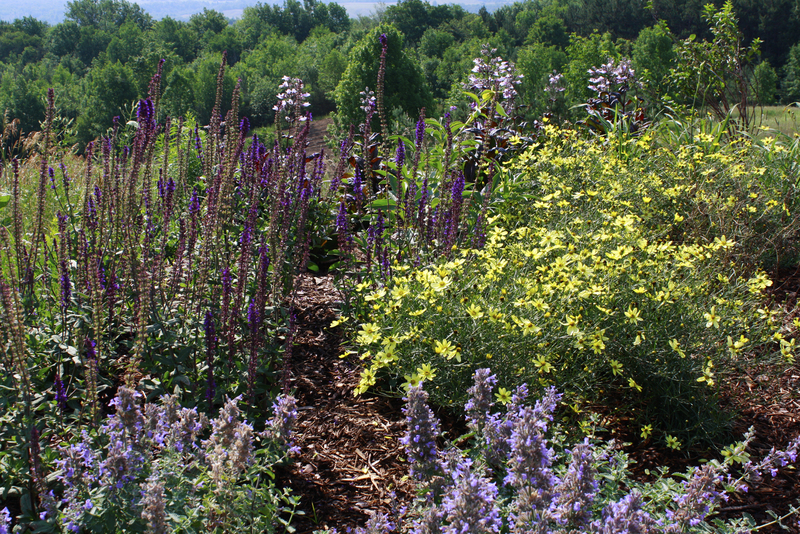 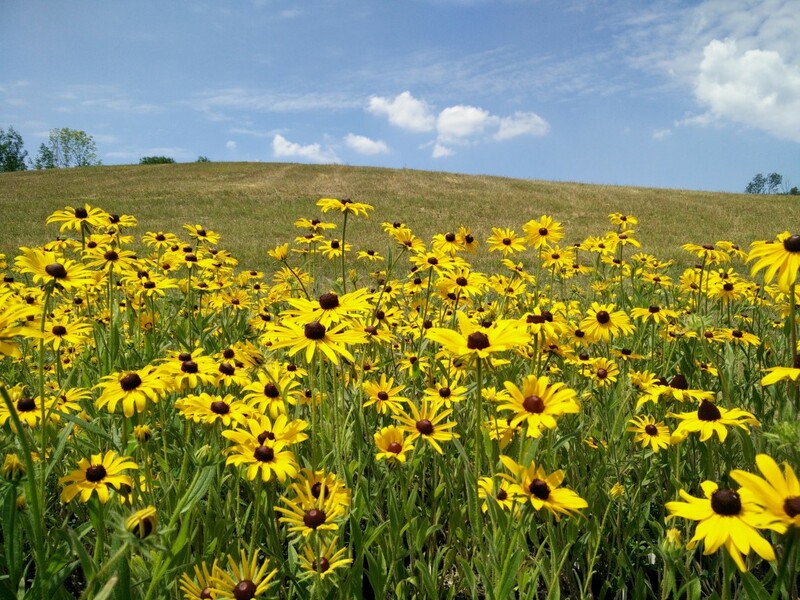 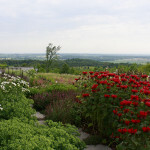 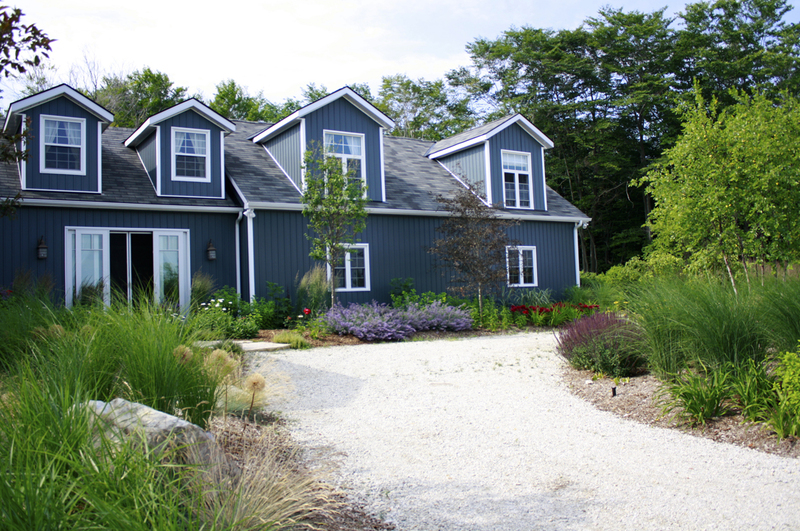 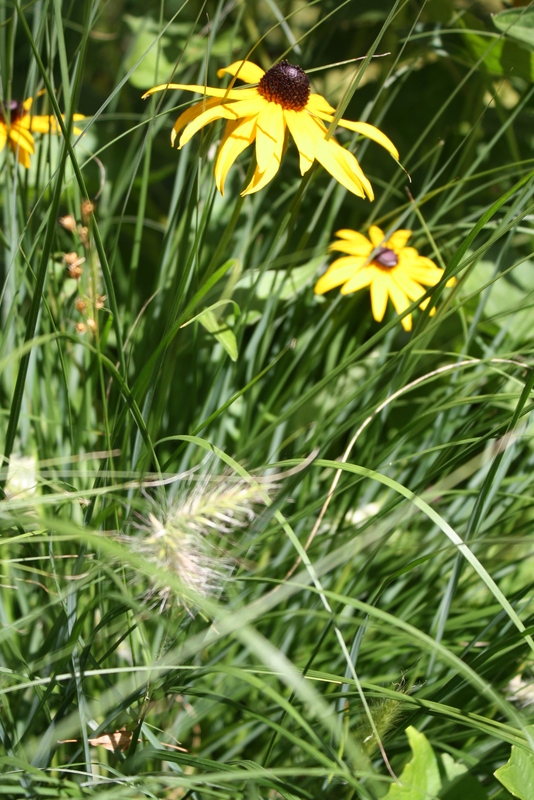 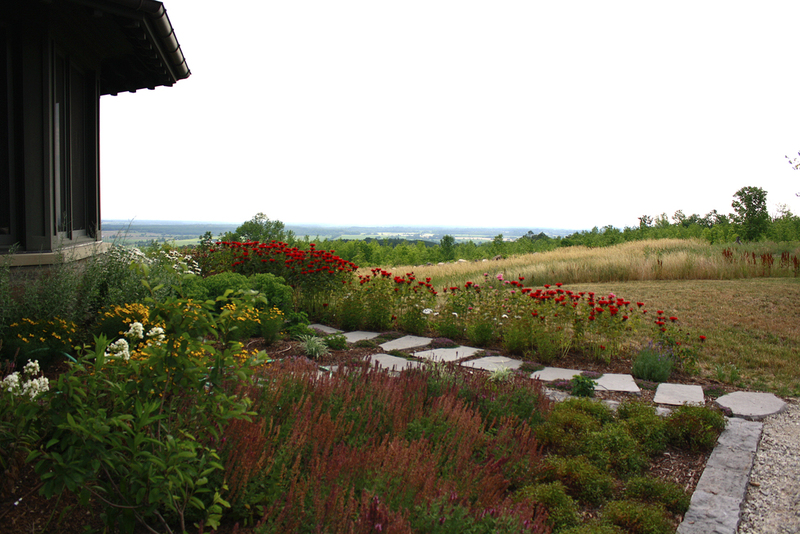 Here at enviroscape we share the land with Not So Hollow Farm, a nursery populated entirely by native plants. 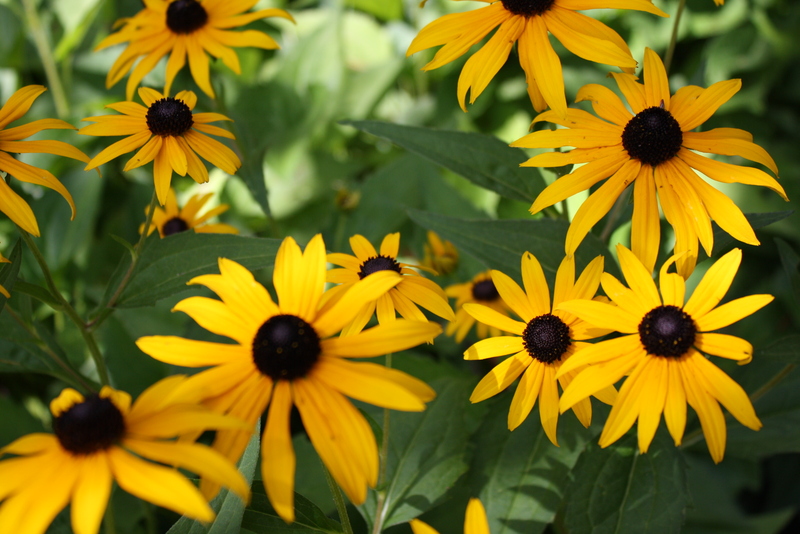 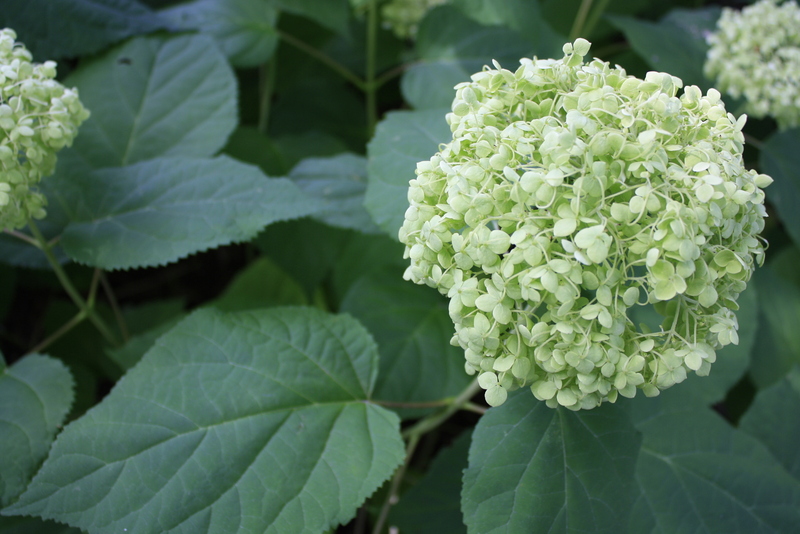 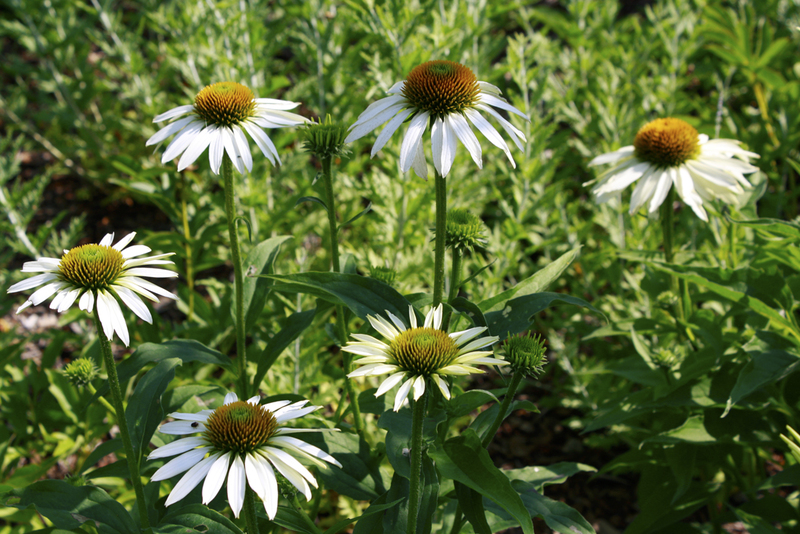 The plants we grow are ethically propagated using local seed sources whenever possible. 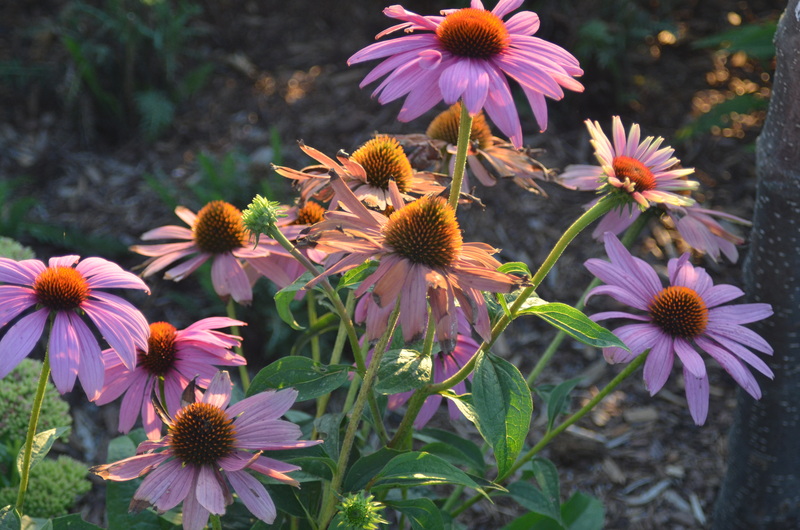 Our availability list includes the Ontario seed source it is propagated from. 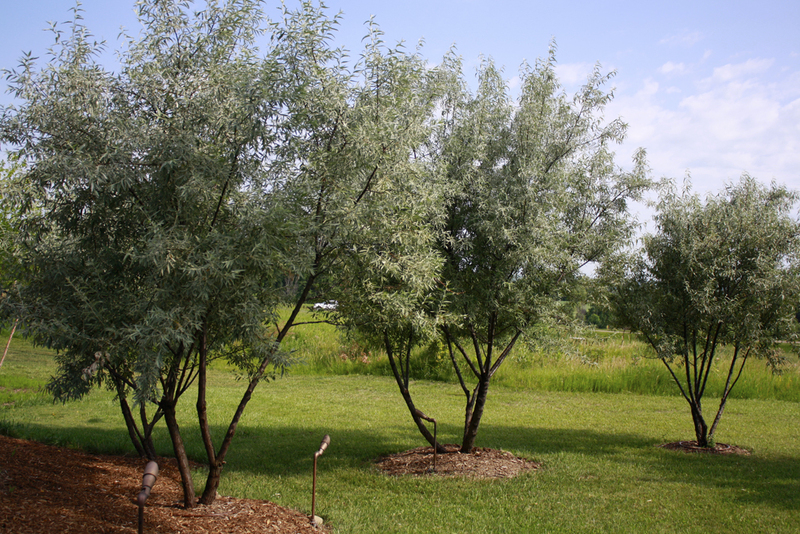 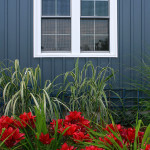 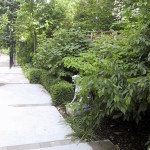 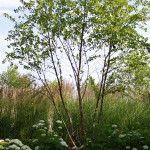 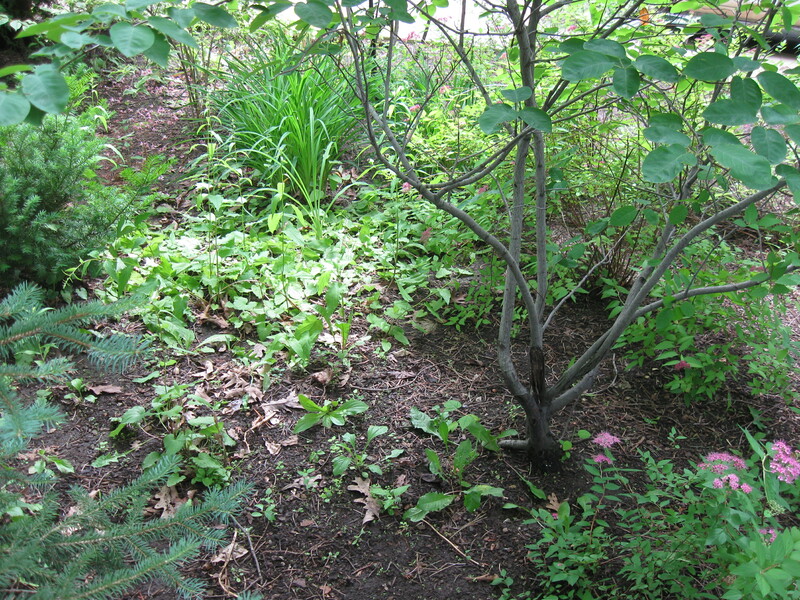 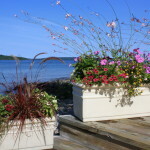 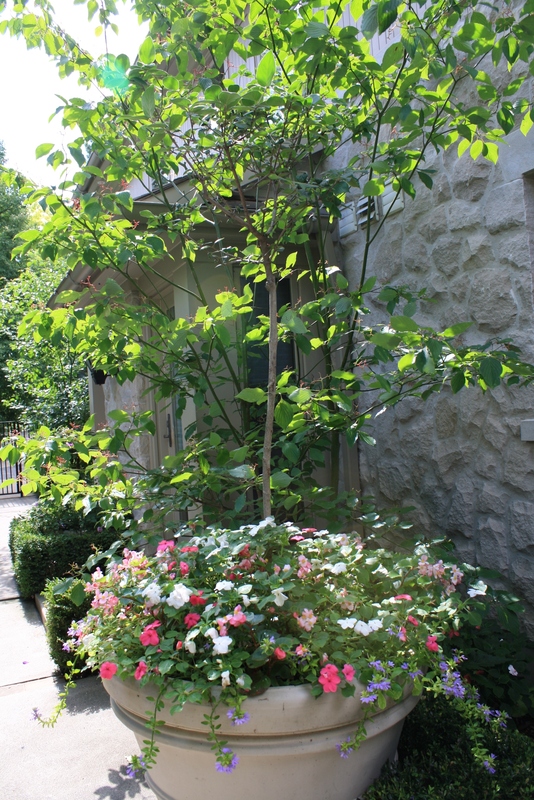 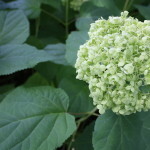 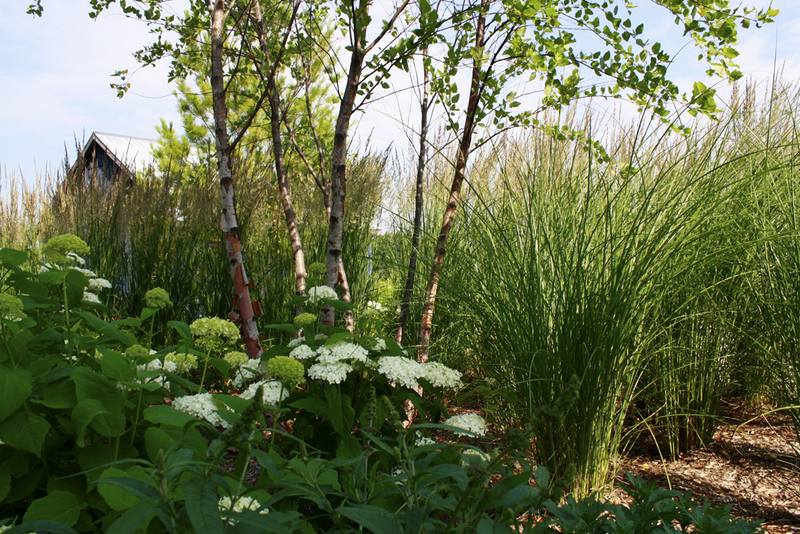 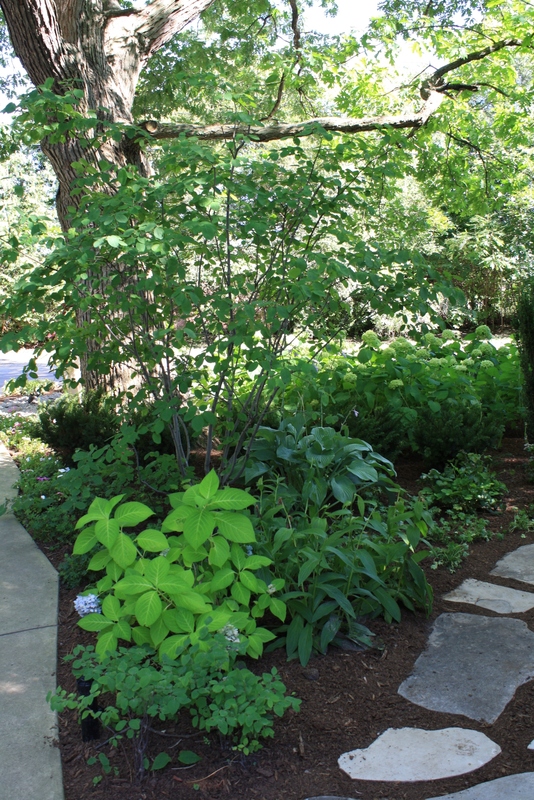 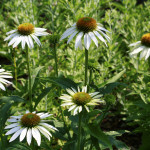 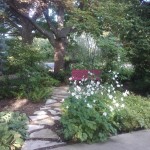 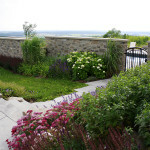 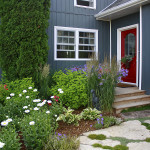 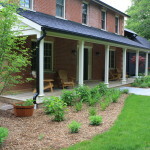 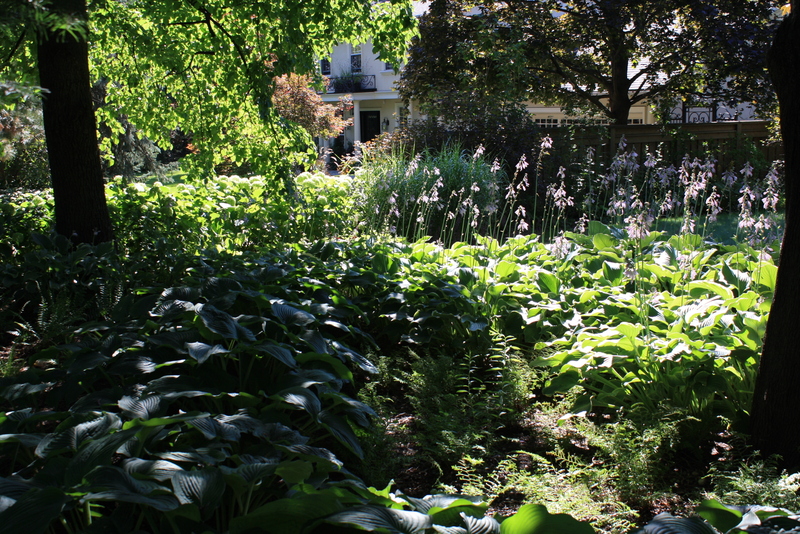 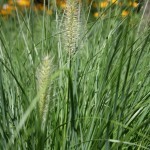 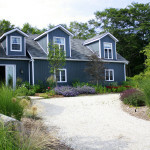 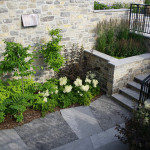 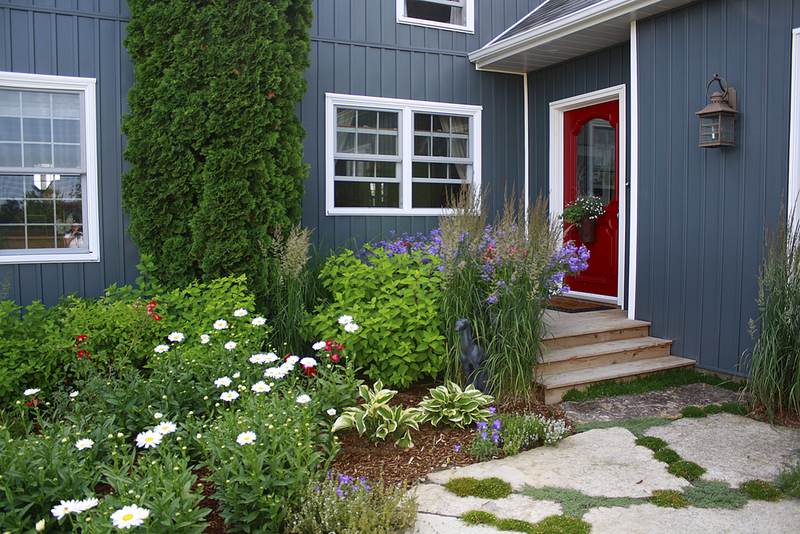 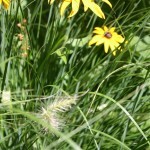 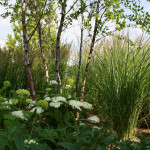 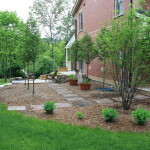 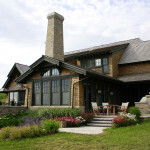 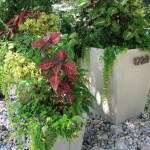 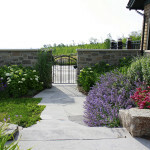 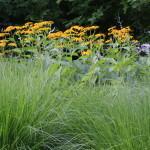 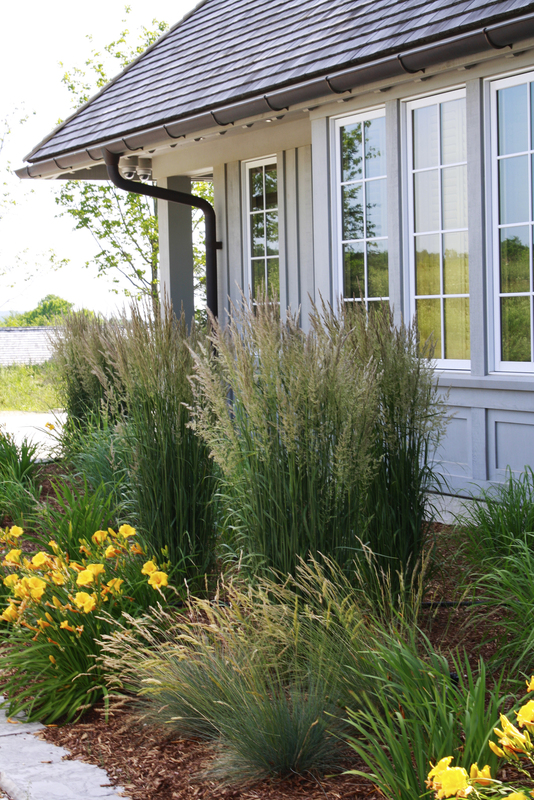 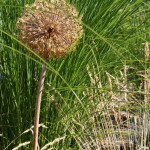 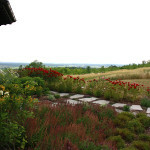 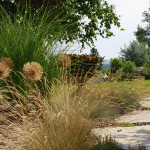 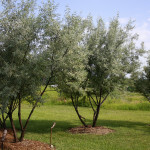 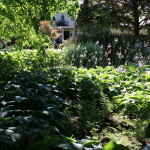 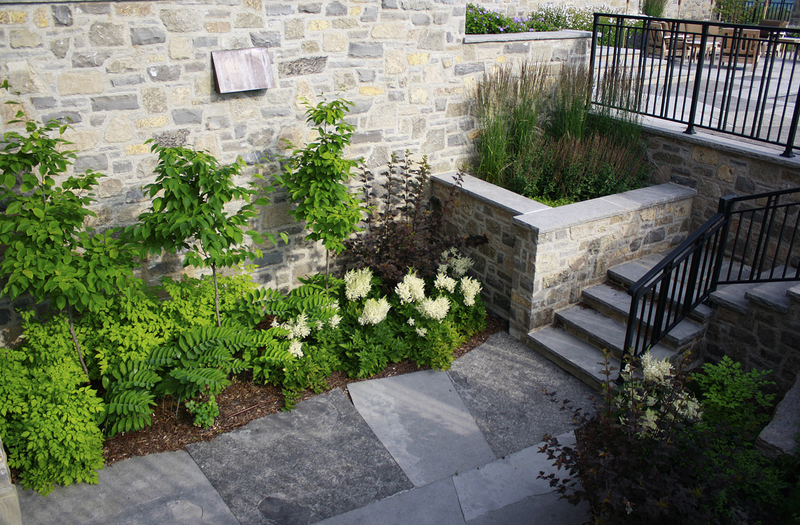 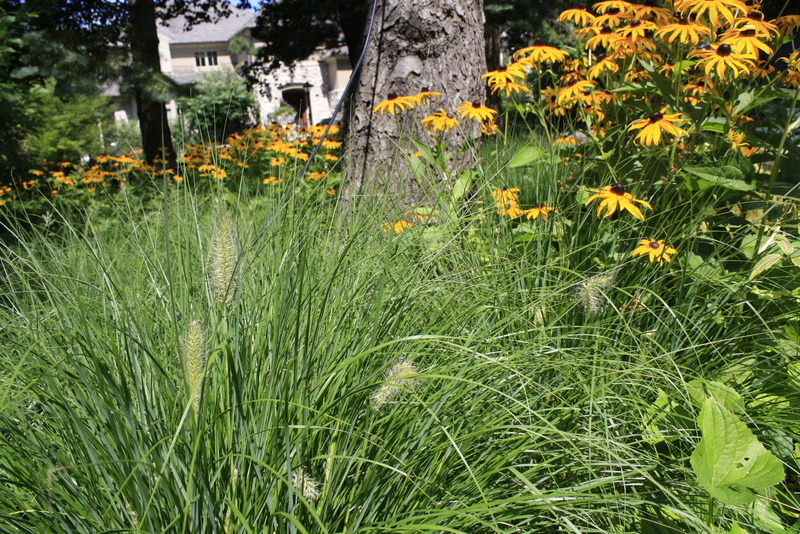 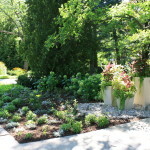 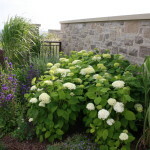 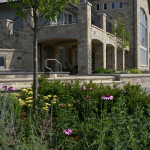 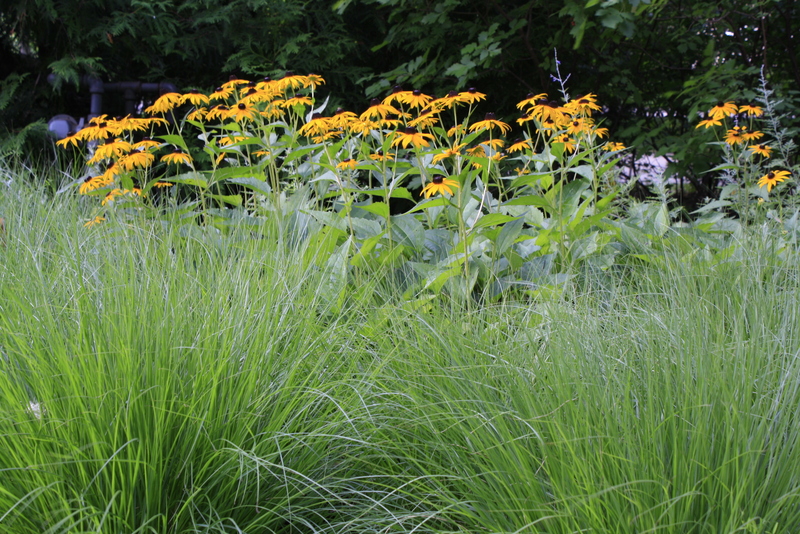 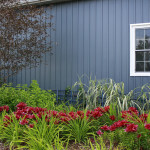 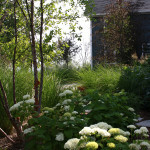 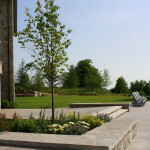 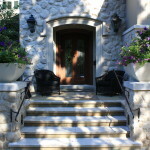 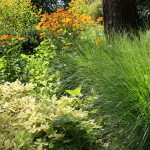 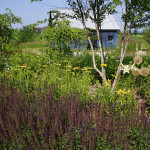 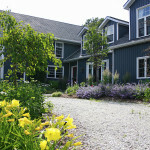 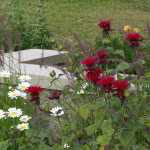 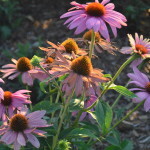 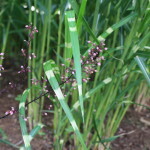 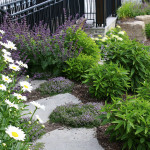 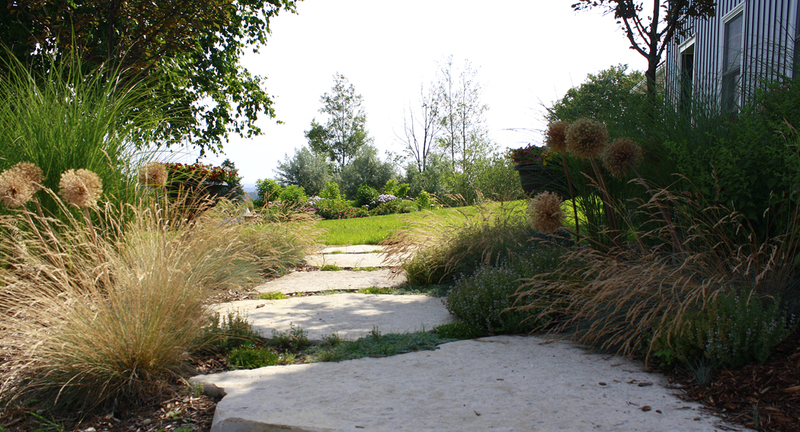 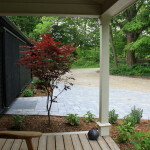 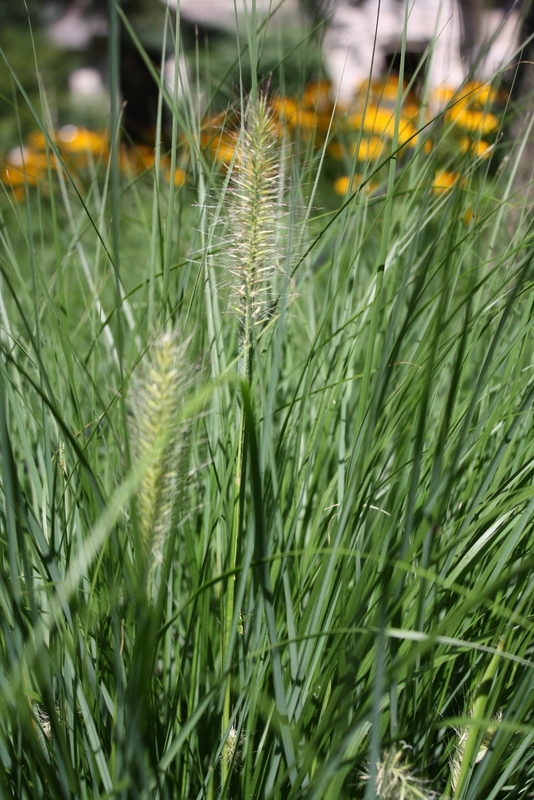 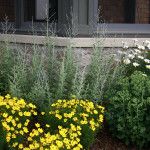 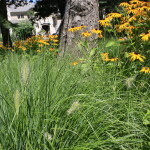 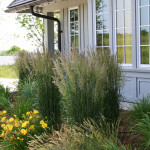 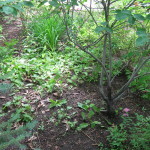 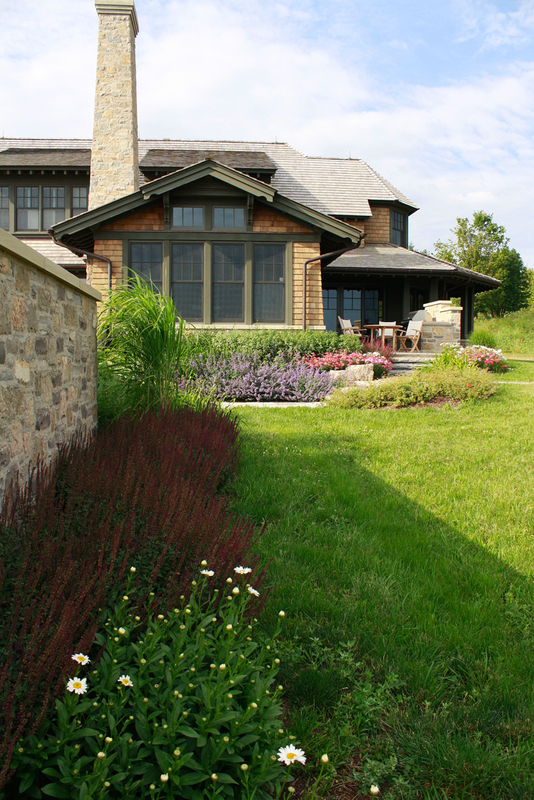 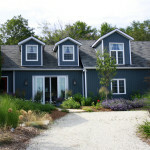 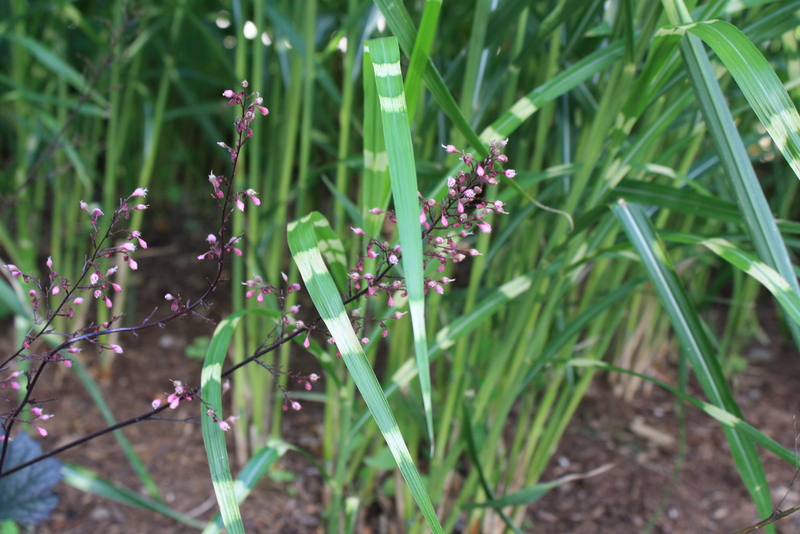 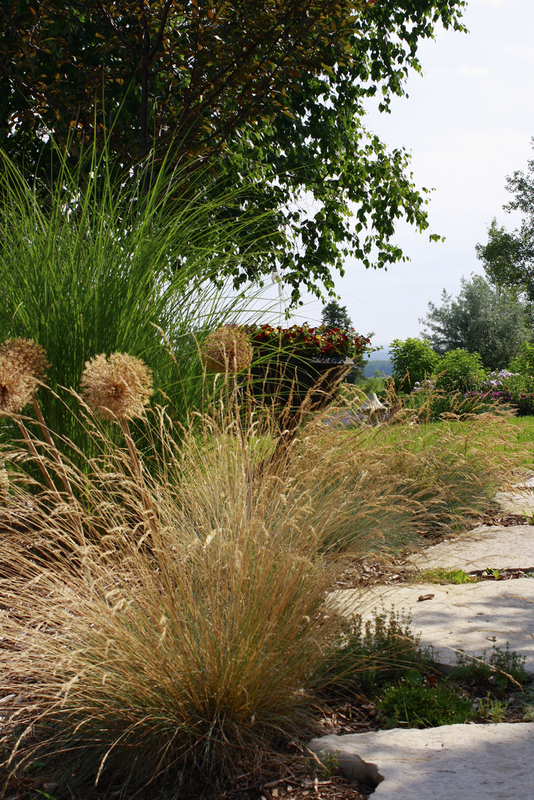 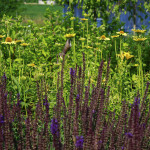 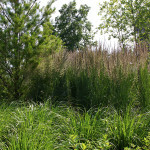 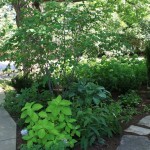 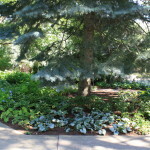 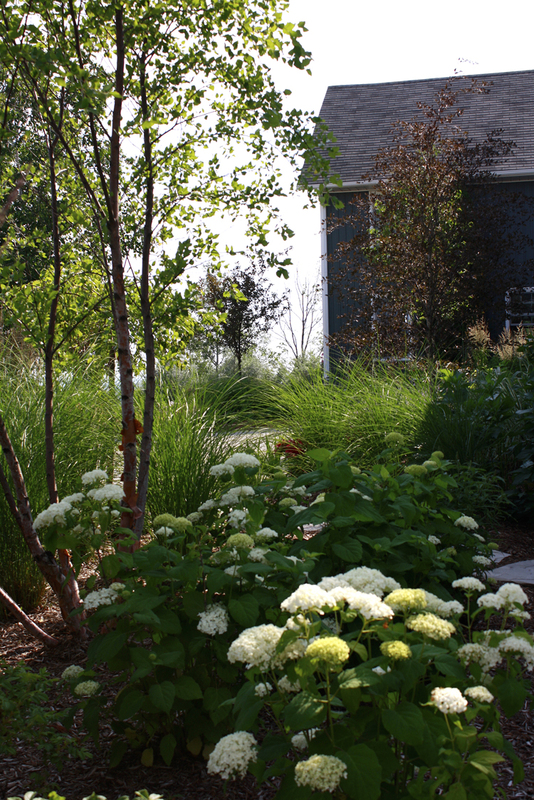 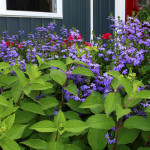 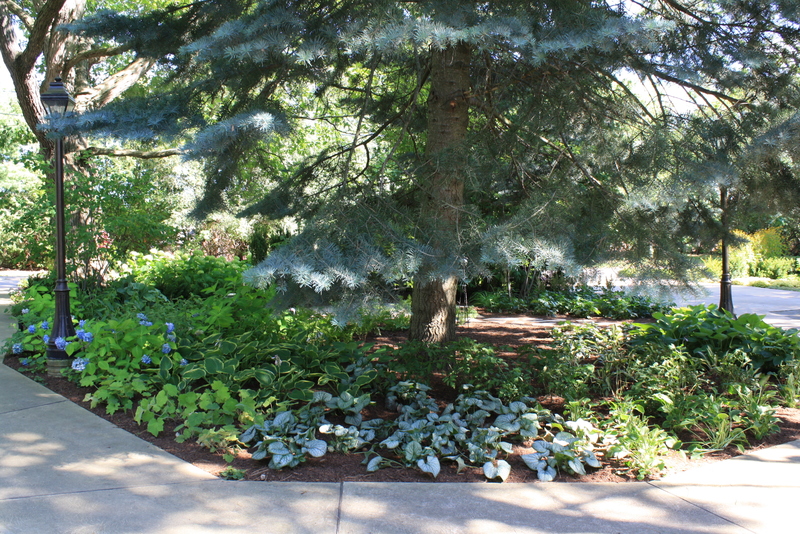 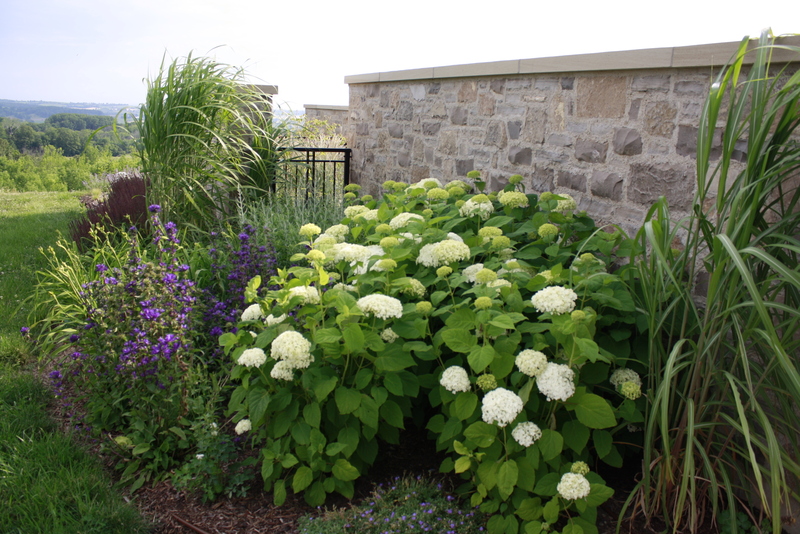 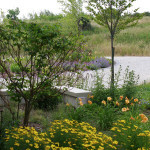 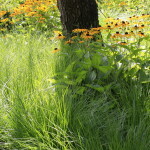 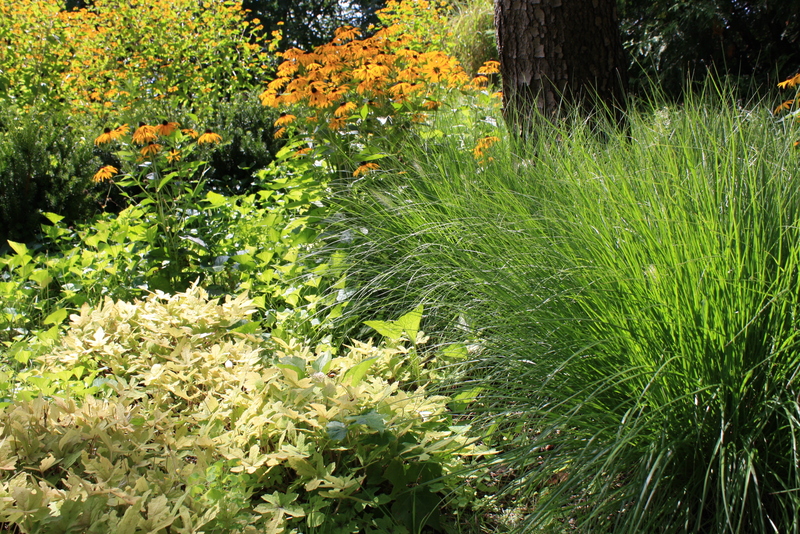 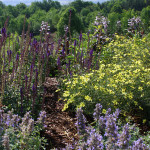 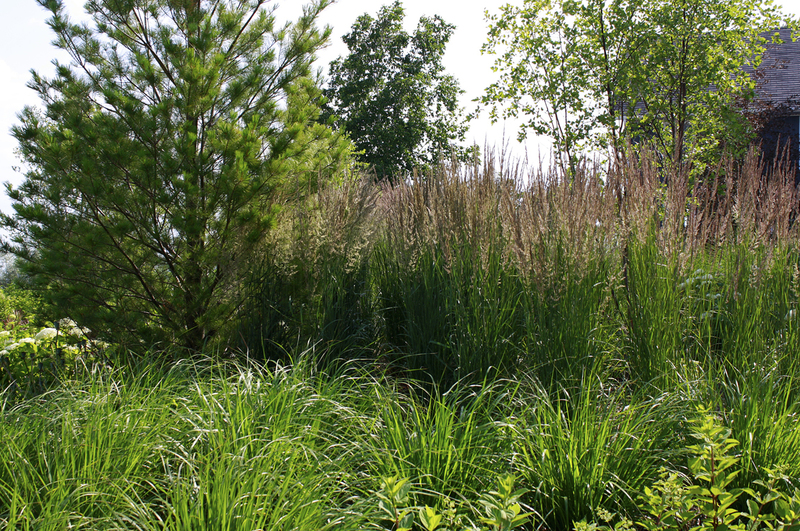 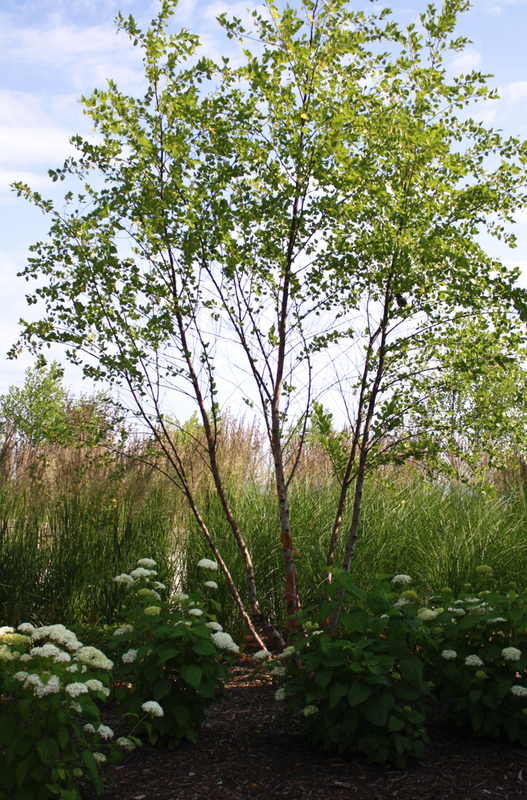 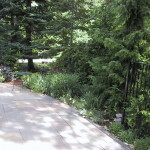 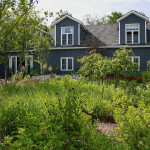 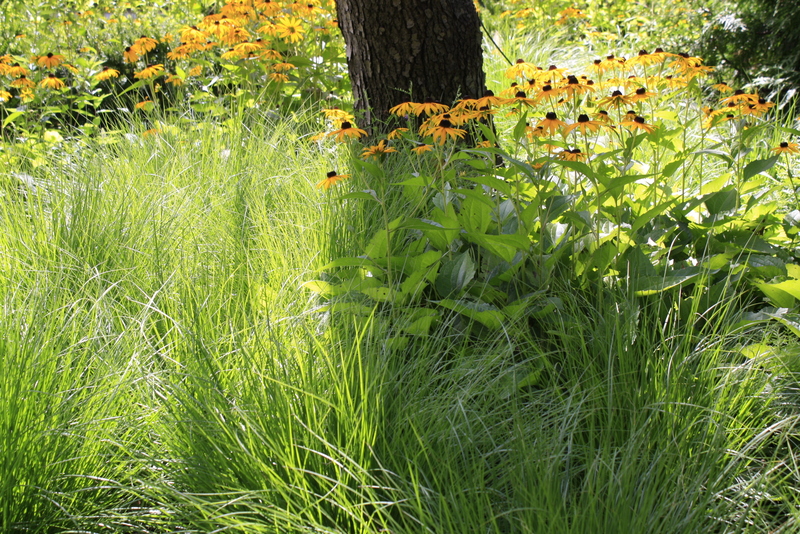 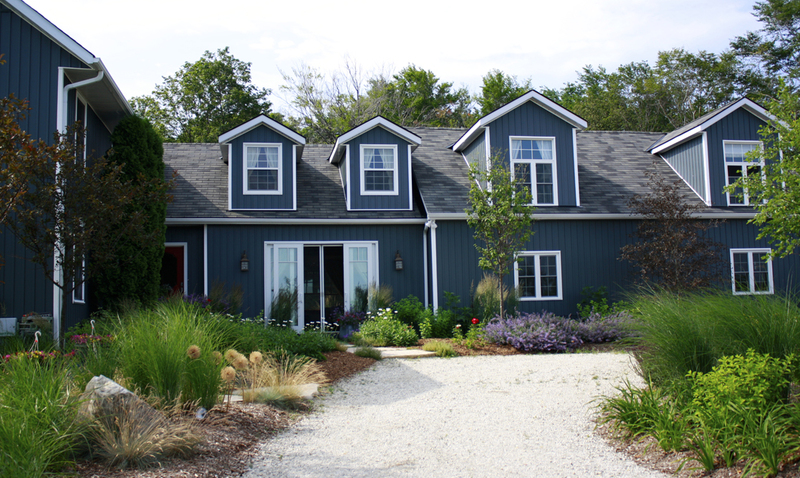 As landscape consultants, we were aware of the demand for native p lants, and the current difficulty in attaining them. 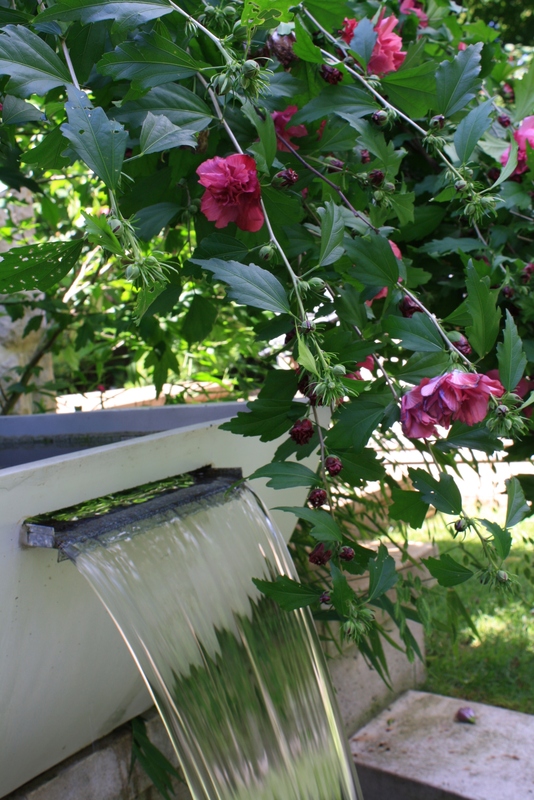 Since we have over 35 years’ experience with plants and what is required to raise them, we decided to solve the problem by growing them ourselves. 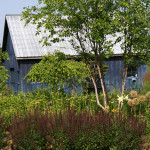 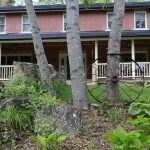 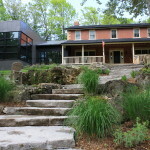 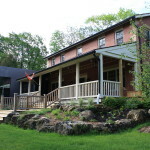 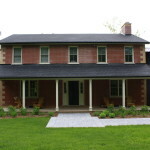 Visit Not So Hollow Farm for more information and important events. 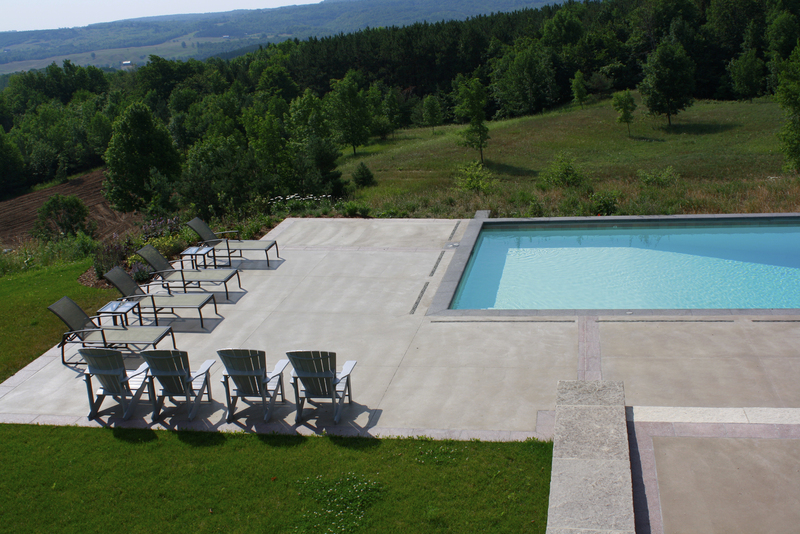 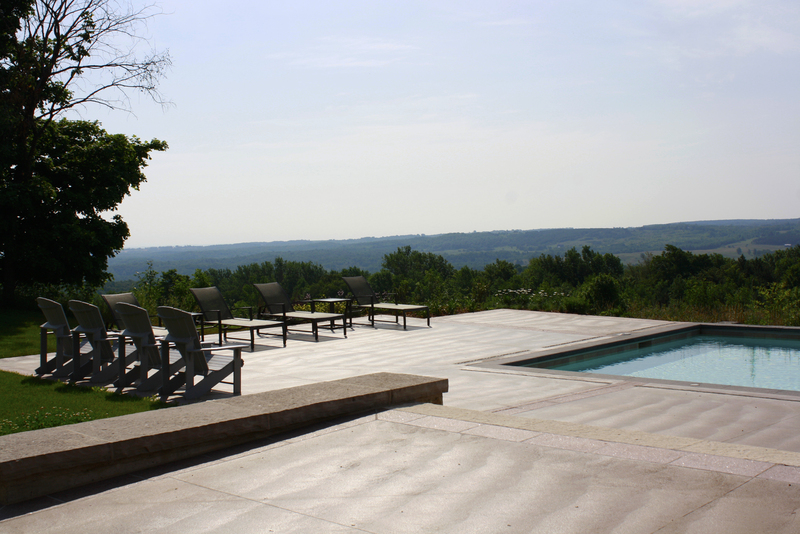 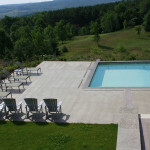 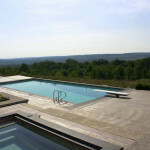 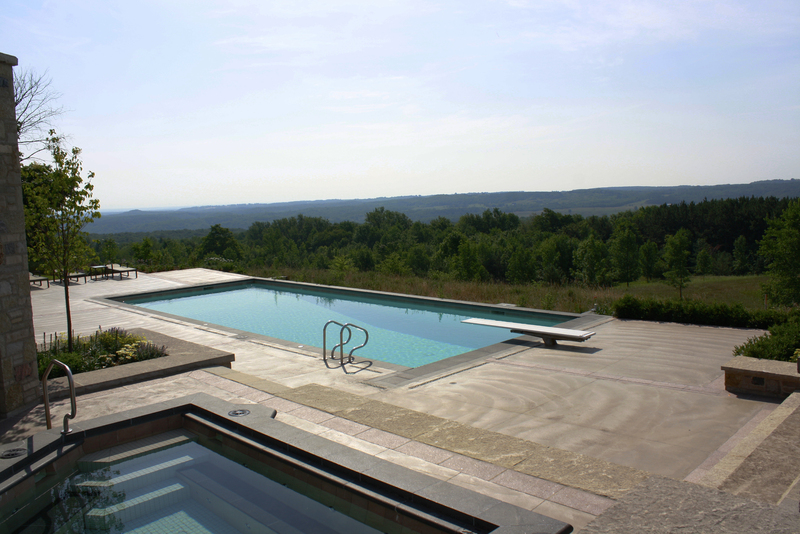 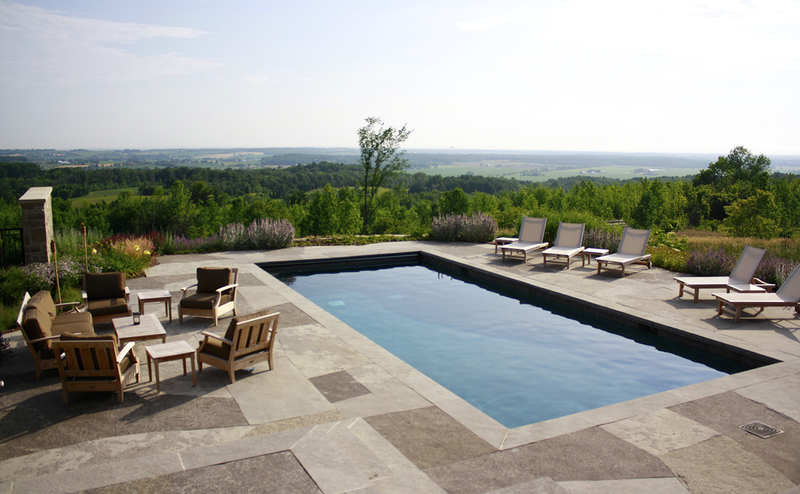 How not to obstruct a sweeping vista, whilst meeting required building codes around a pool. 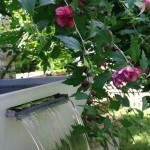 A unique solution. 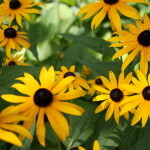 (To see larger images, just click on any photo). 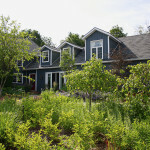 The owners of this urban estate summer at their cottage. 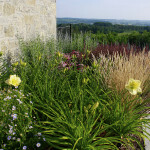 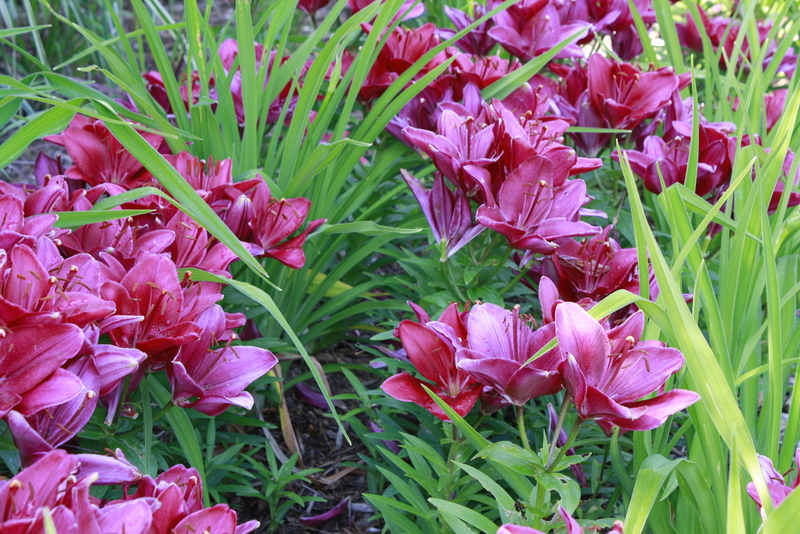 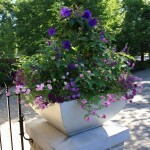 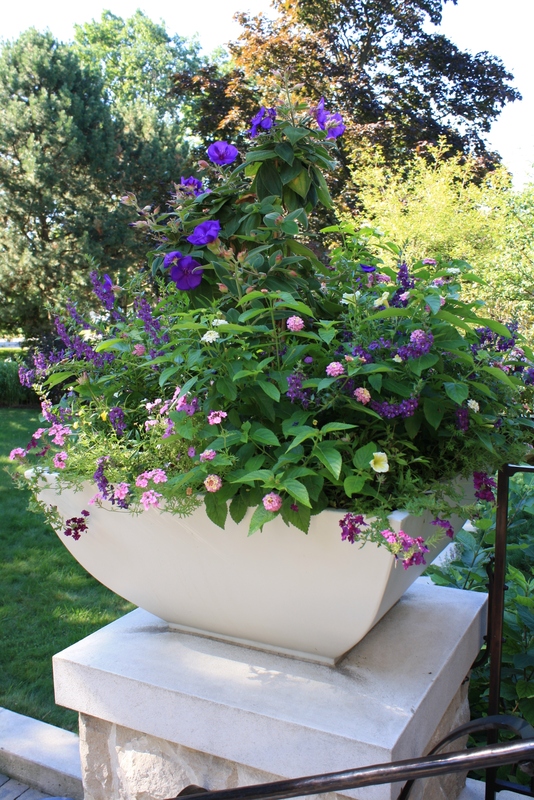 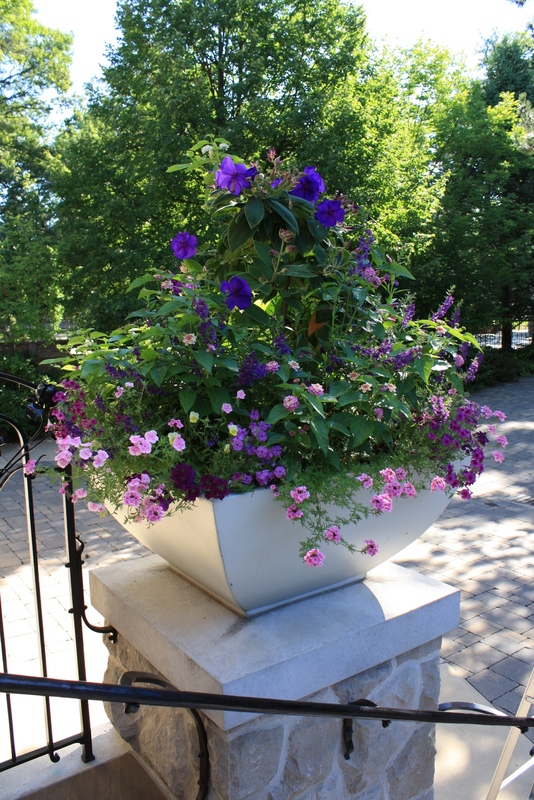 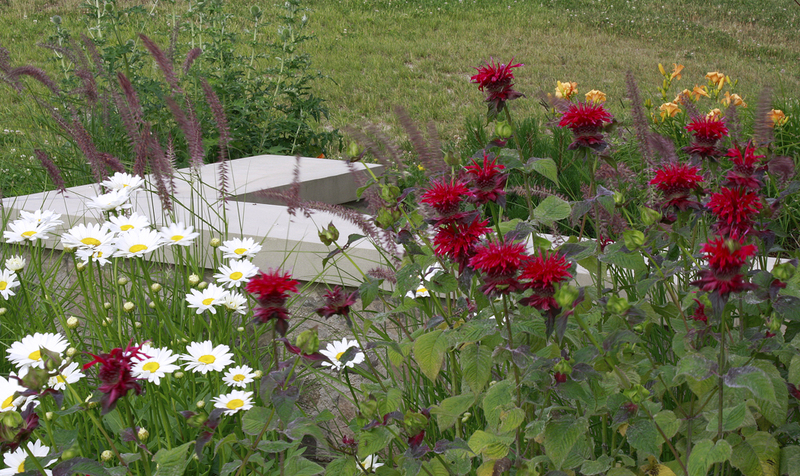 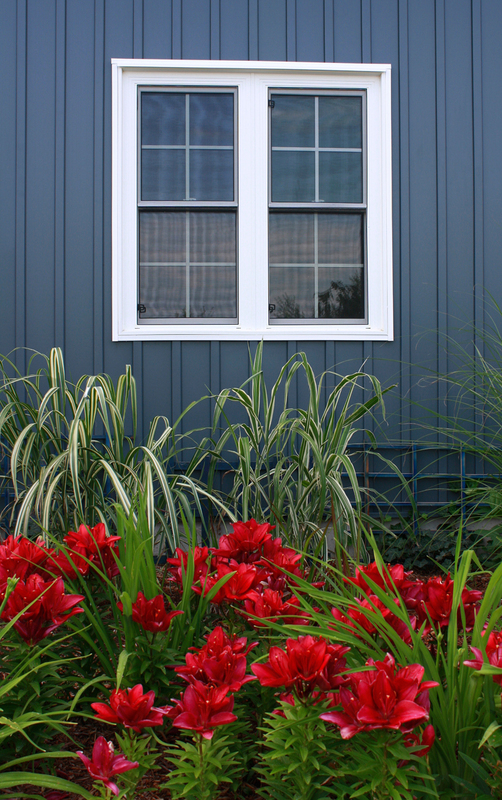 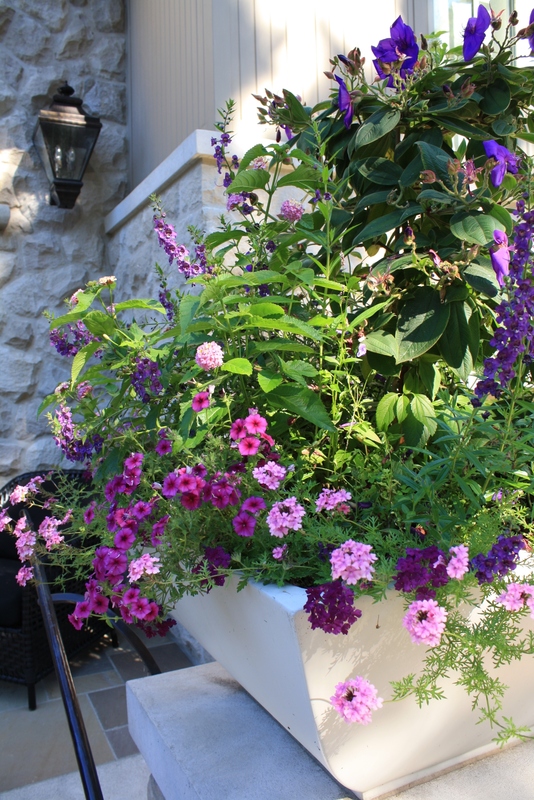 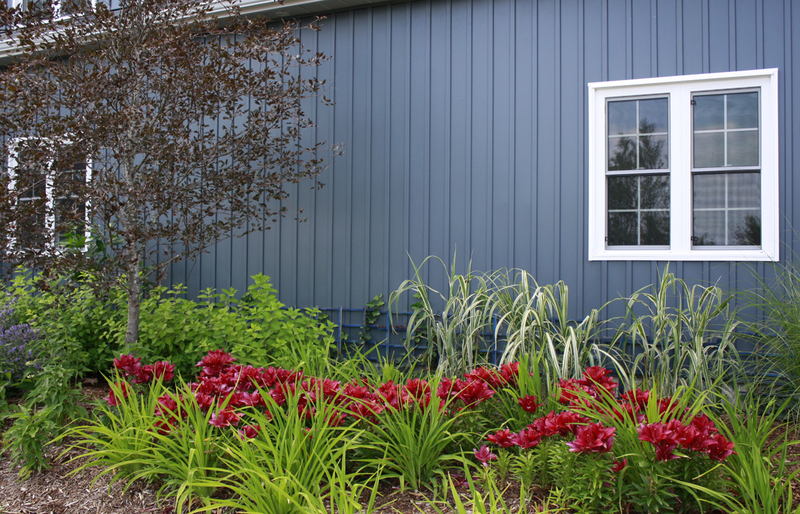 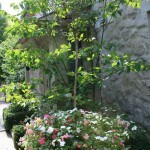 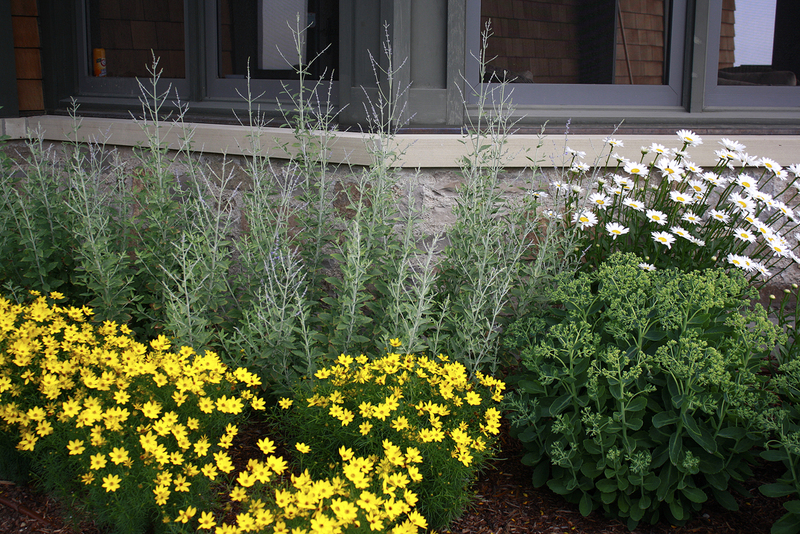 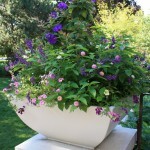 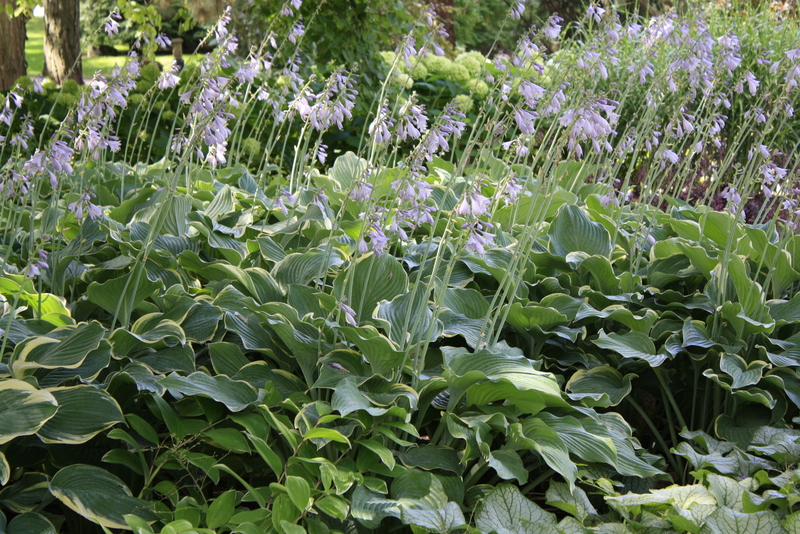 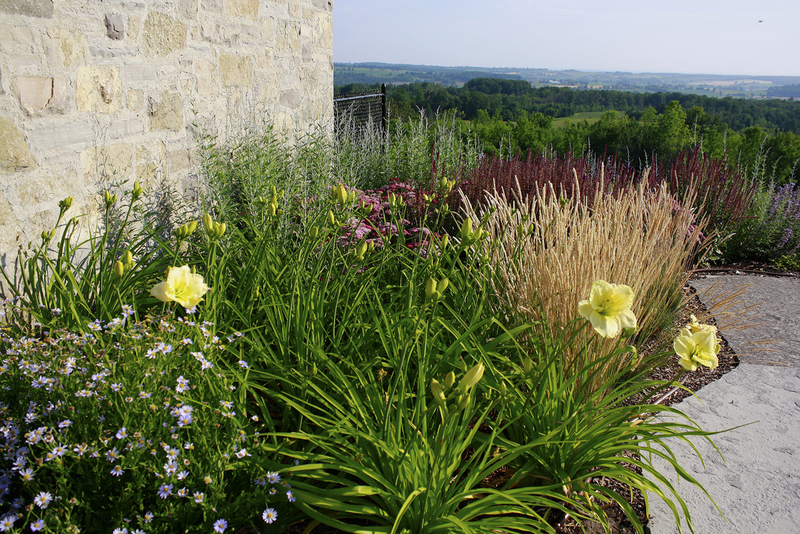 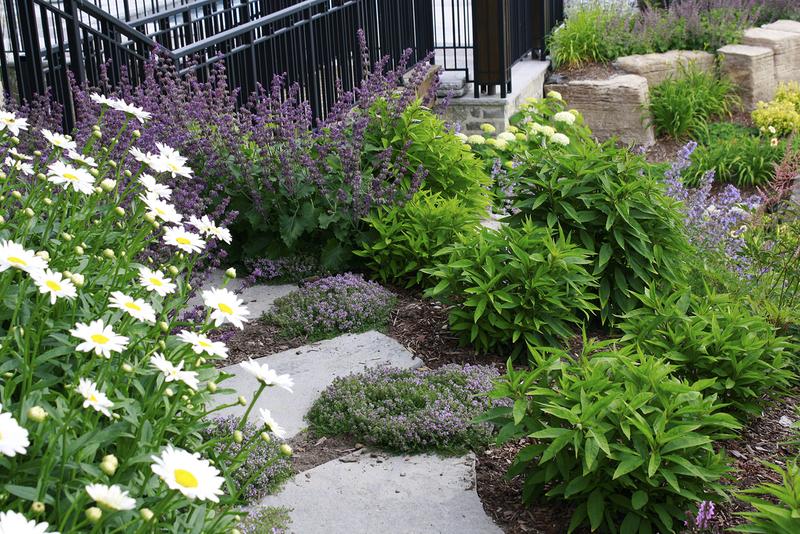 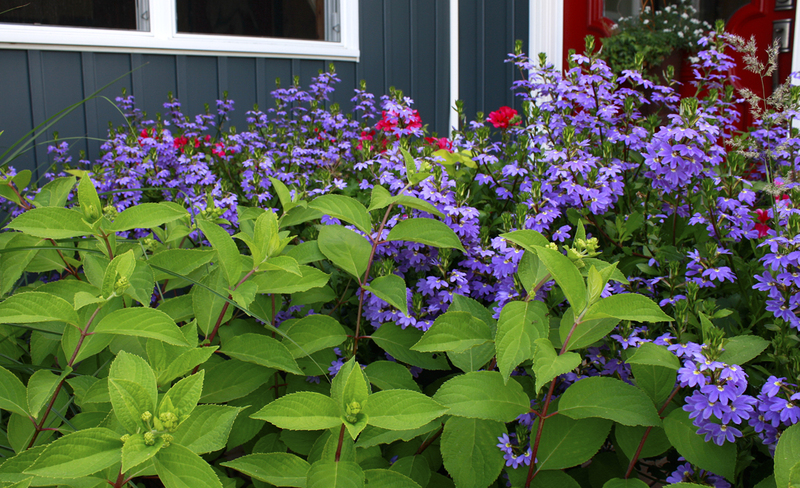 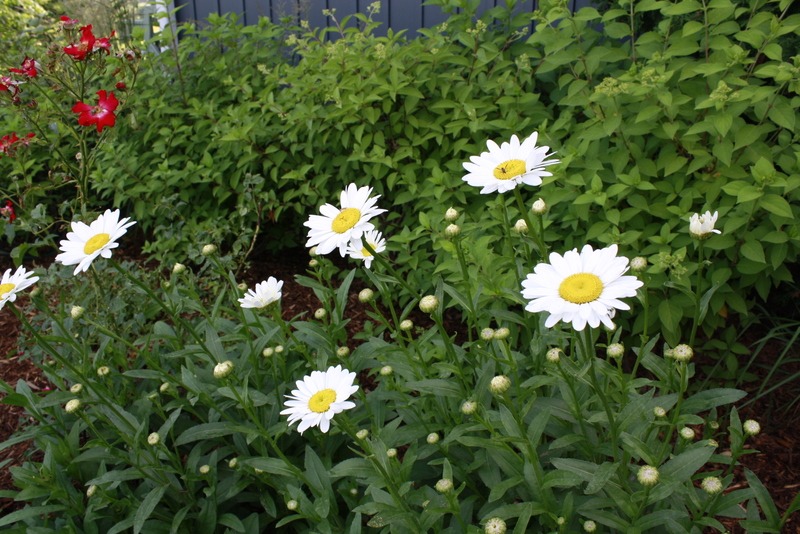 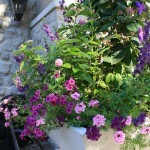 Many of the plantings, therefore, focused on spring and autumn impact. 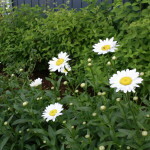 (To see larger images, just click on any photo). 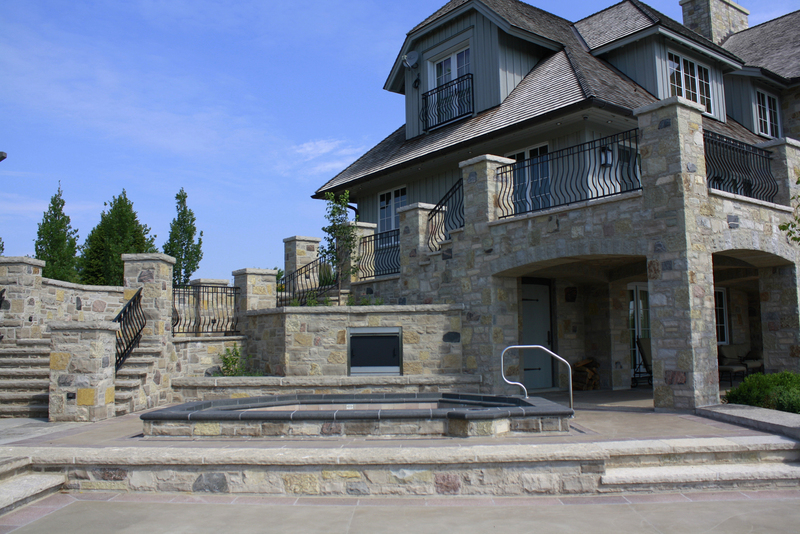 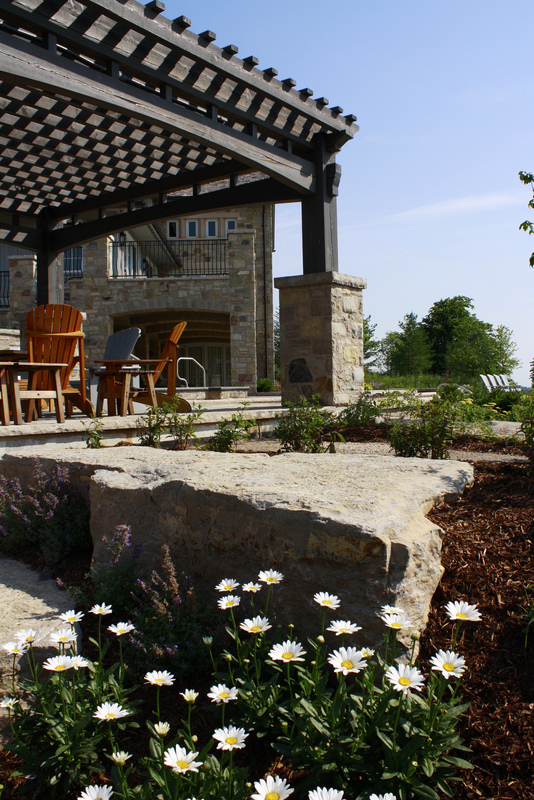 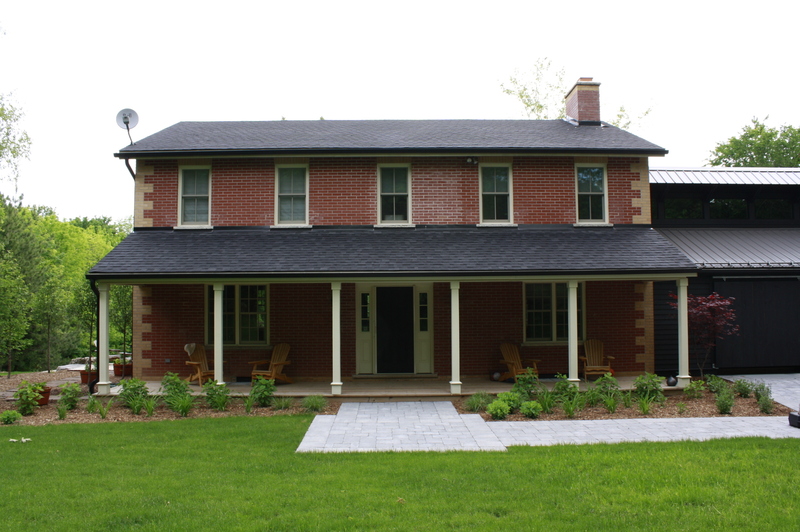 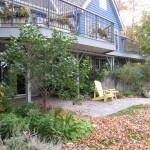 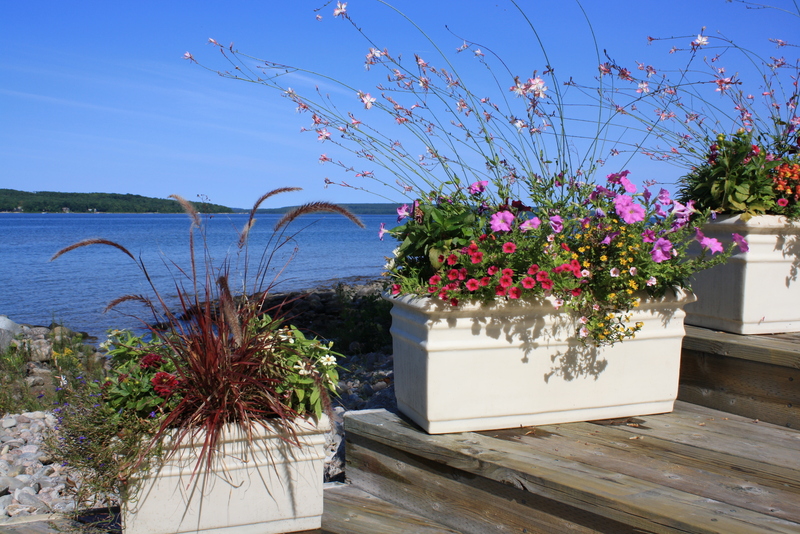 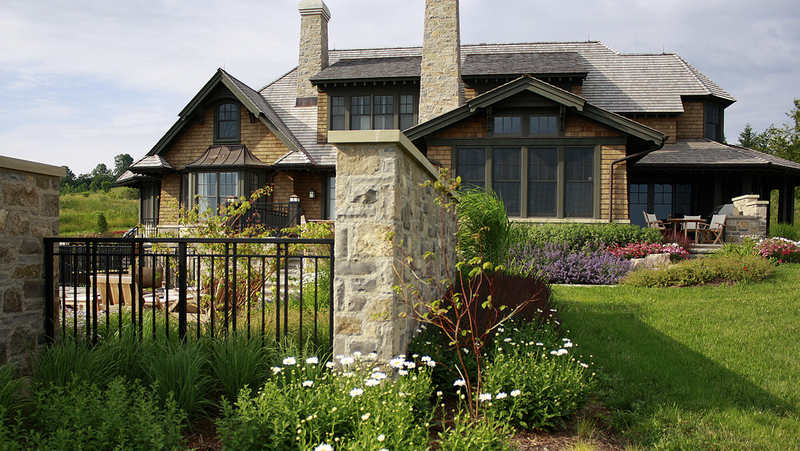 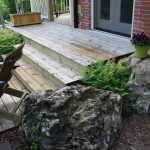 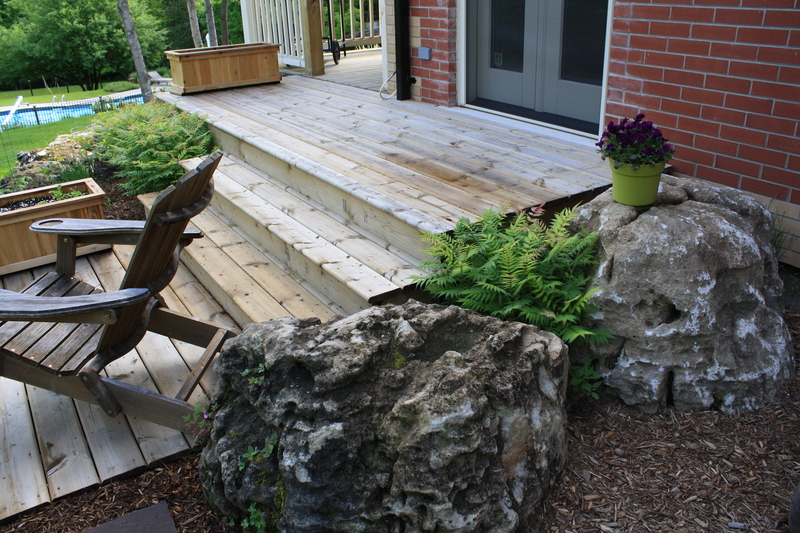 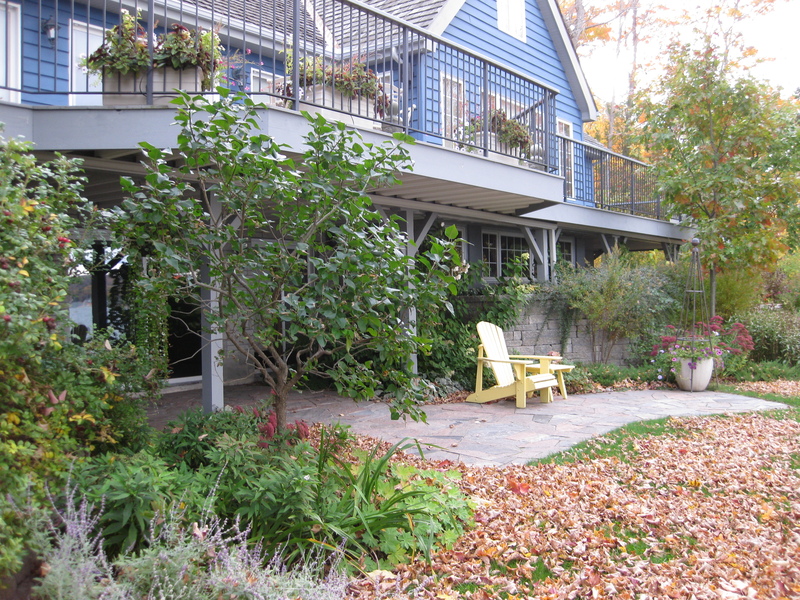 Enviroscape was initially consulted to design elegant terraced beds to replace an aging structural rockery at this cottage on the water. 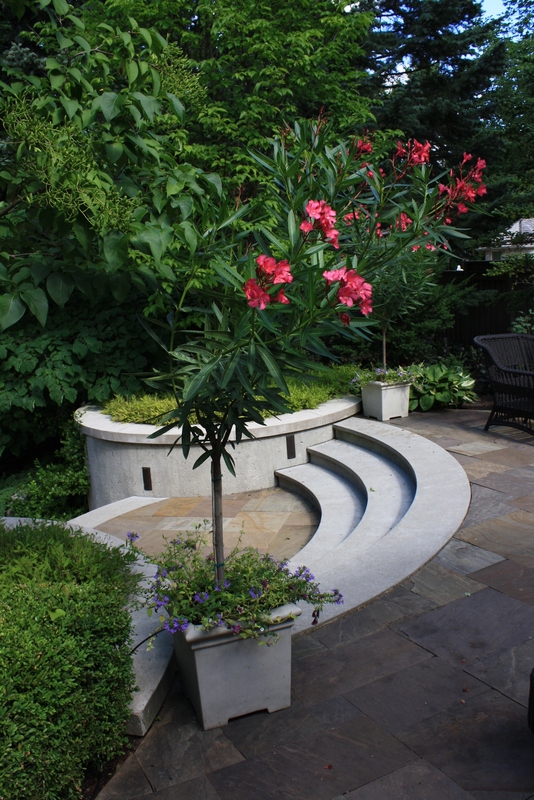 The design evolved into creating a cohesive space incorporating a lively palate. 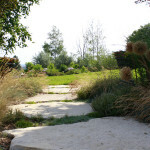 At the owner’s request a new vegetable potager and meditation labyrinth were blended into the landscape. 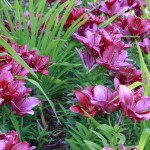 (To see larger images, just click on any photo). 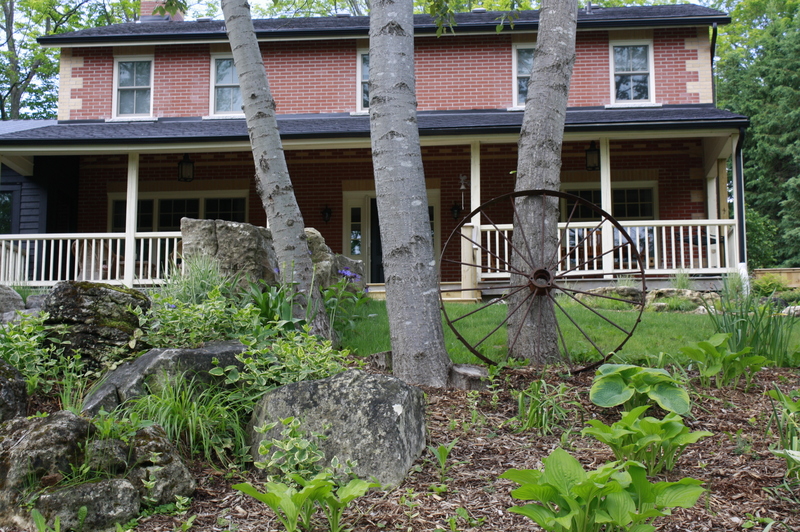 Welcoming rustic retreat. 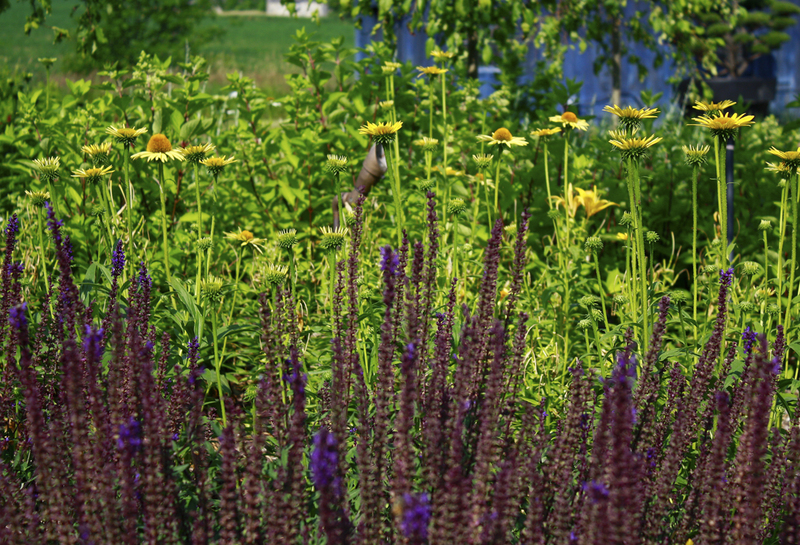 Vibrant gardens. 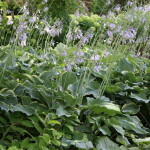 (To see larger images, just click on any photo). 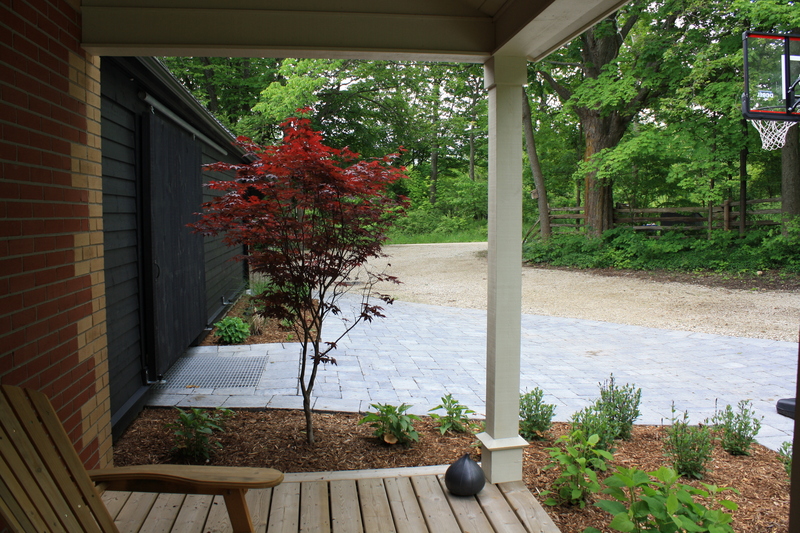 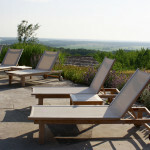 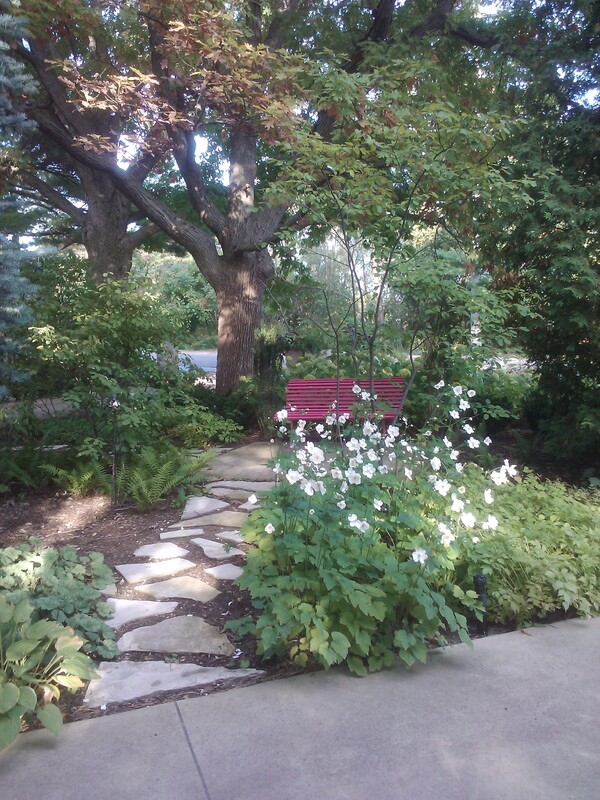 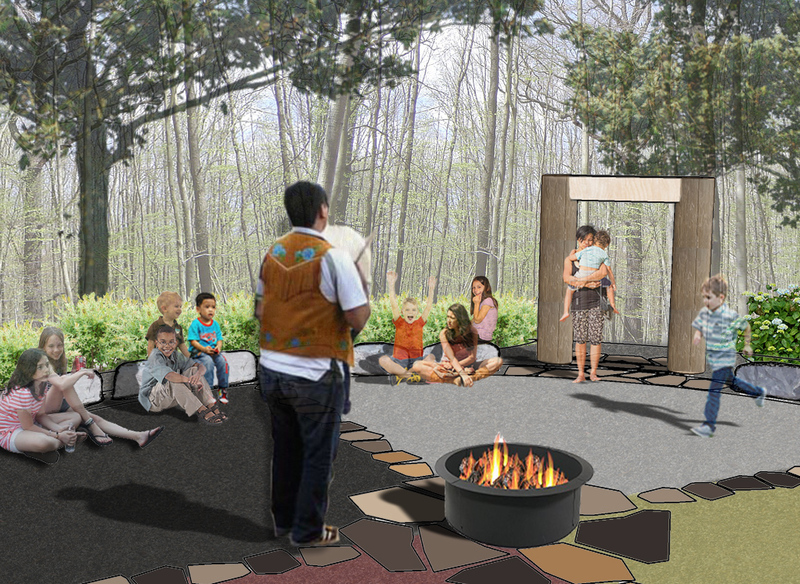 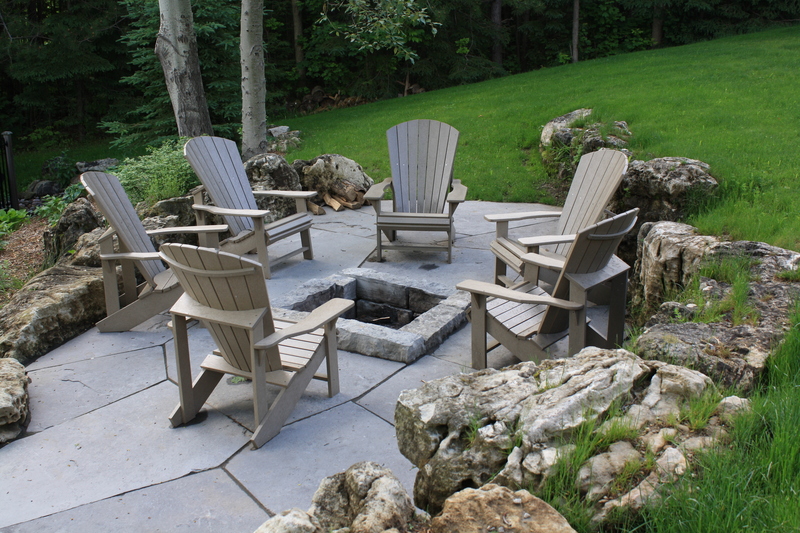 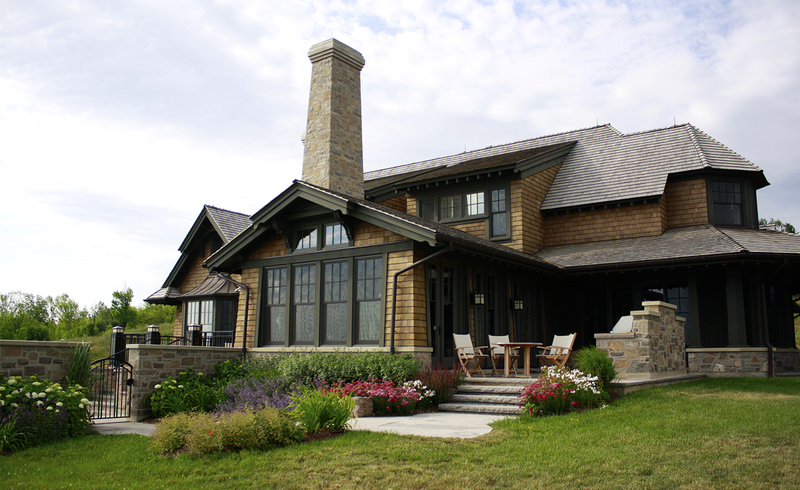 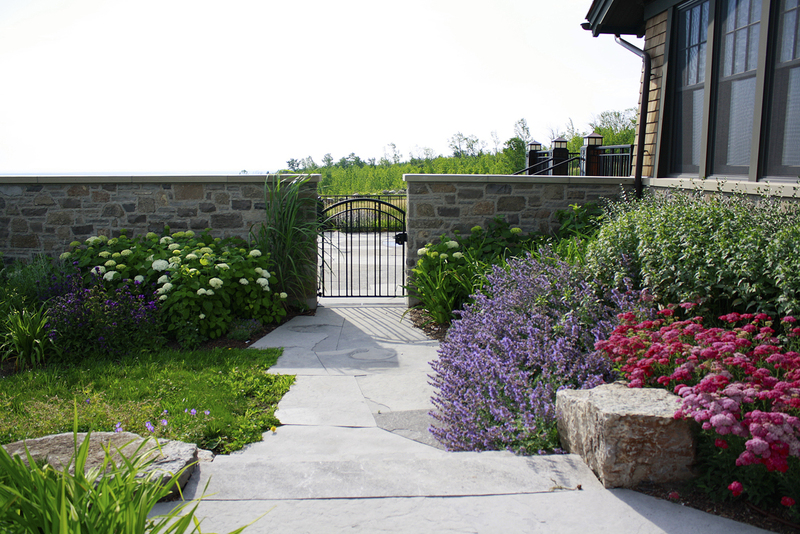 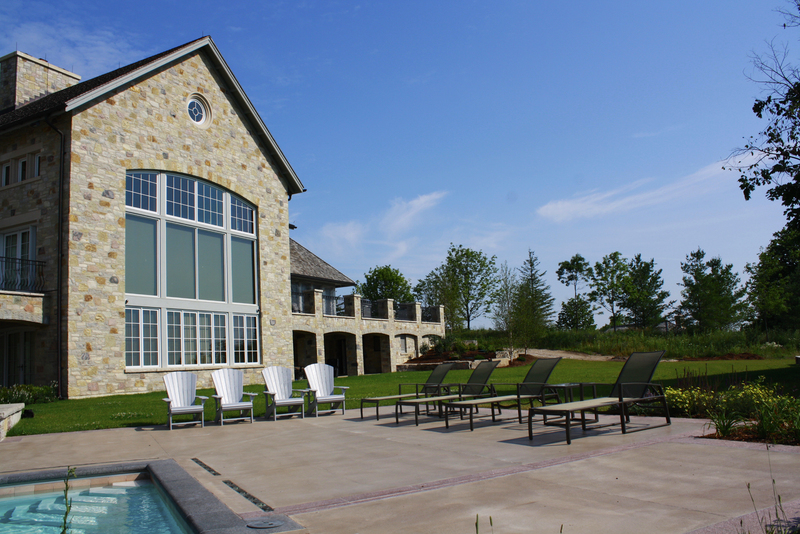 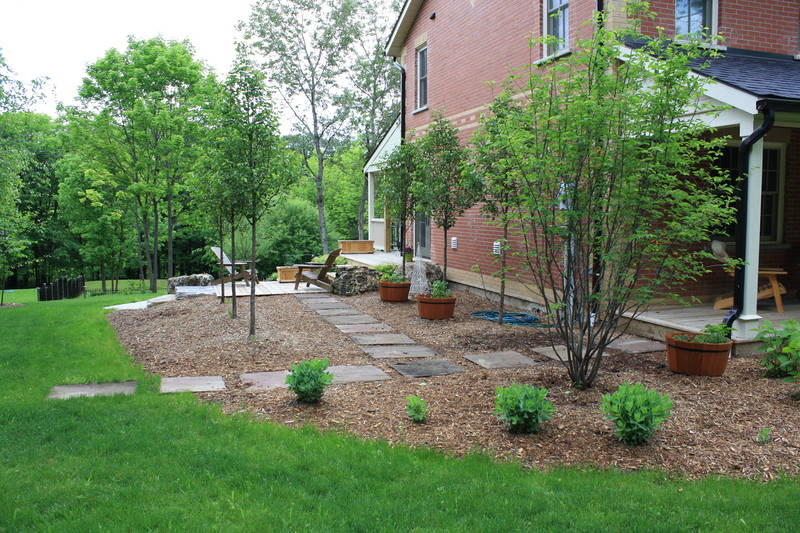 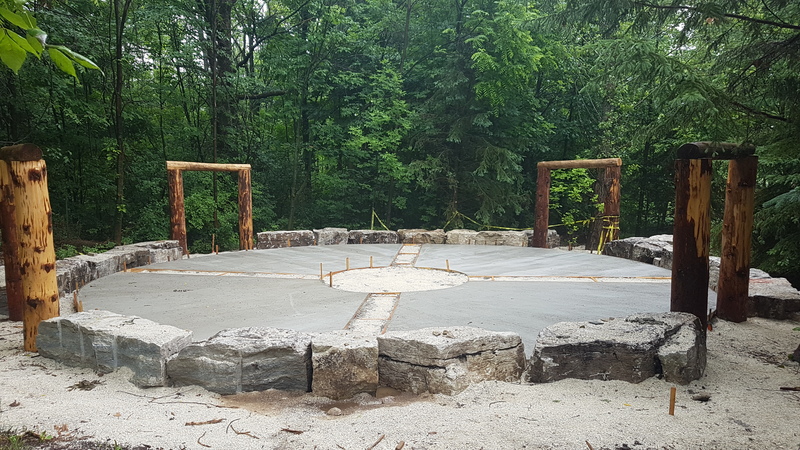 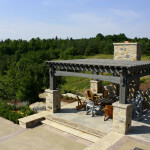 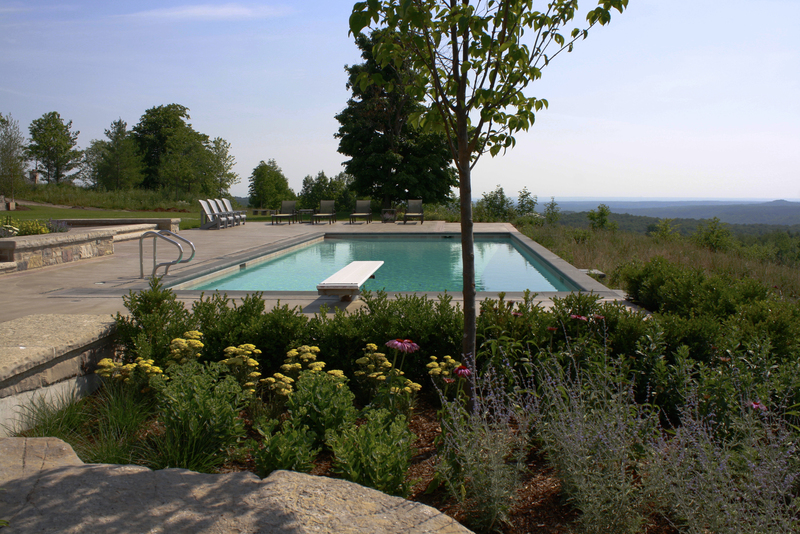 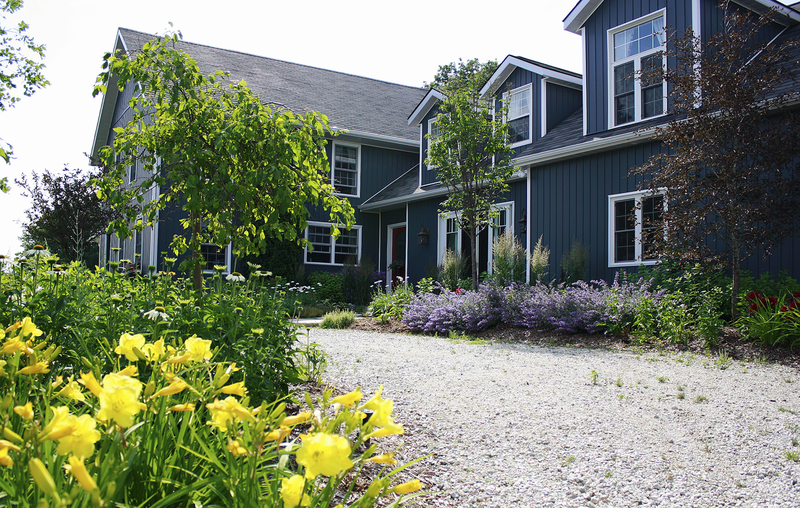 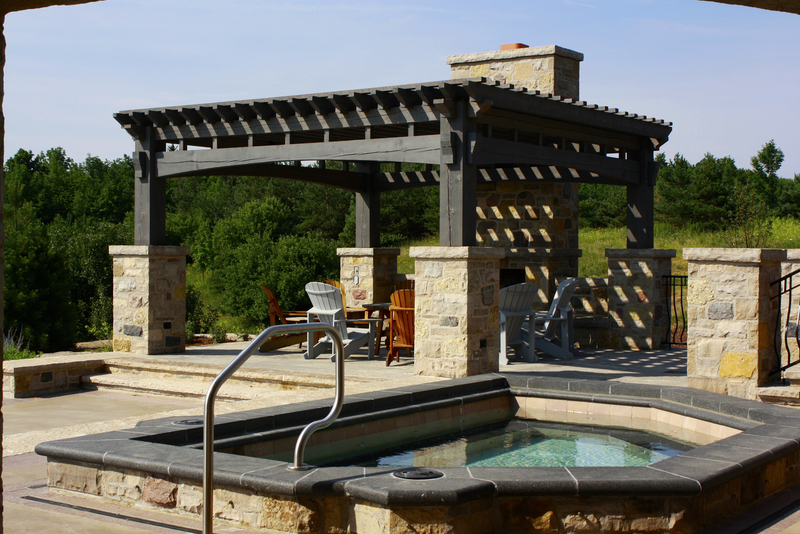 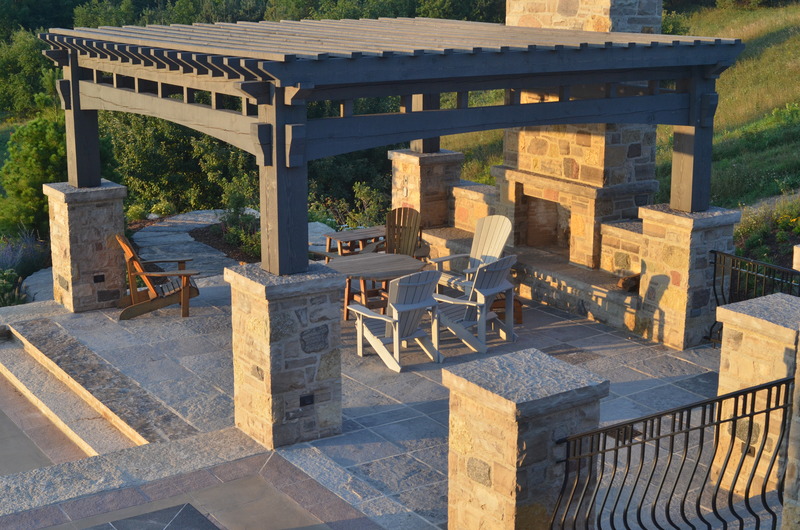 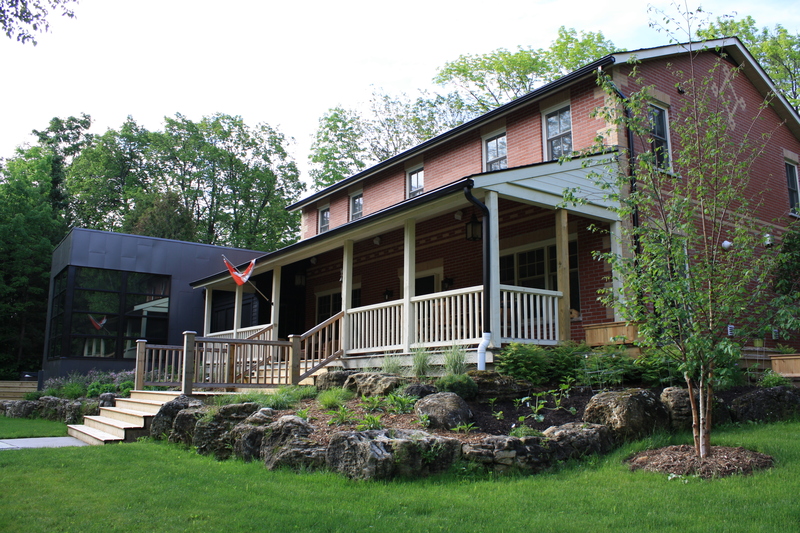 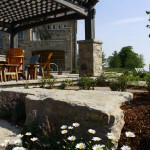 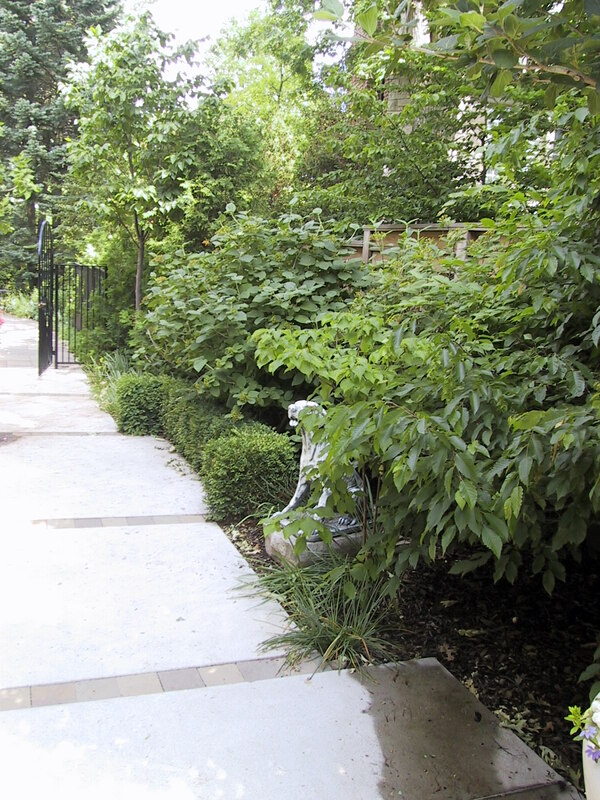 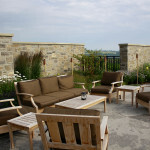 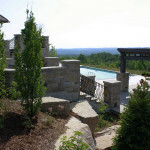 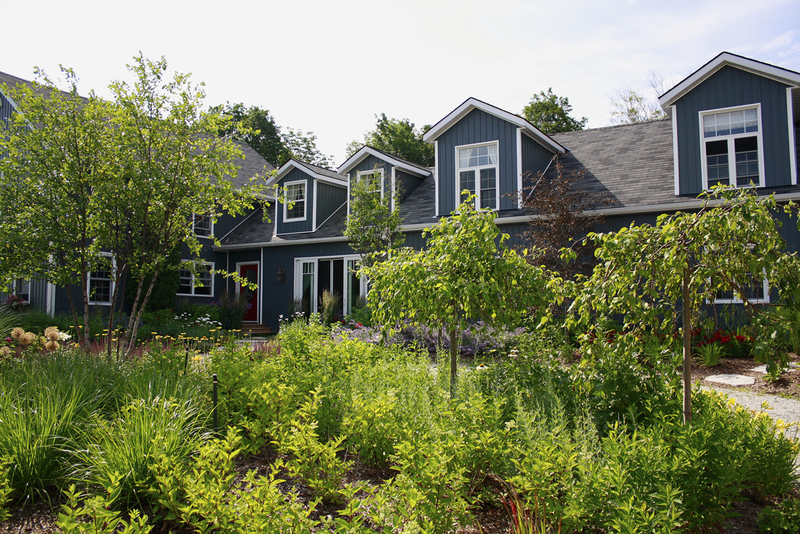 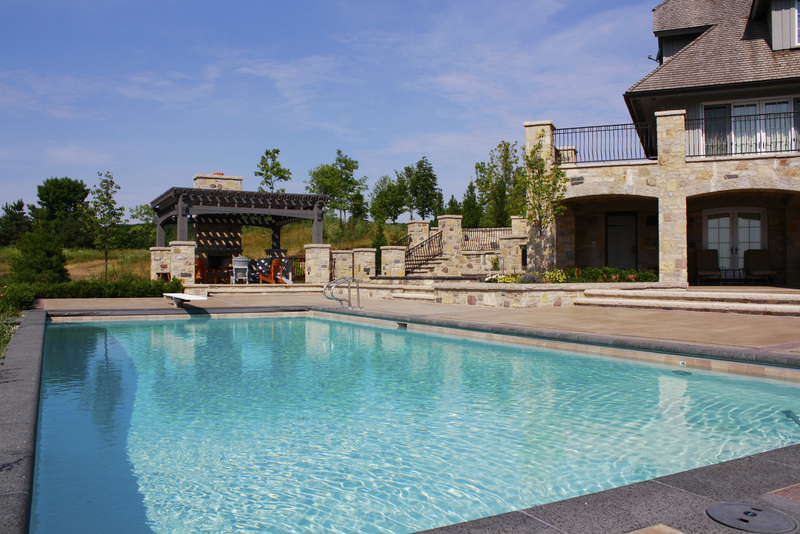 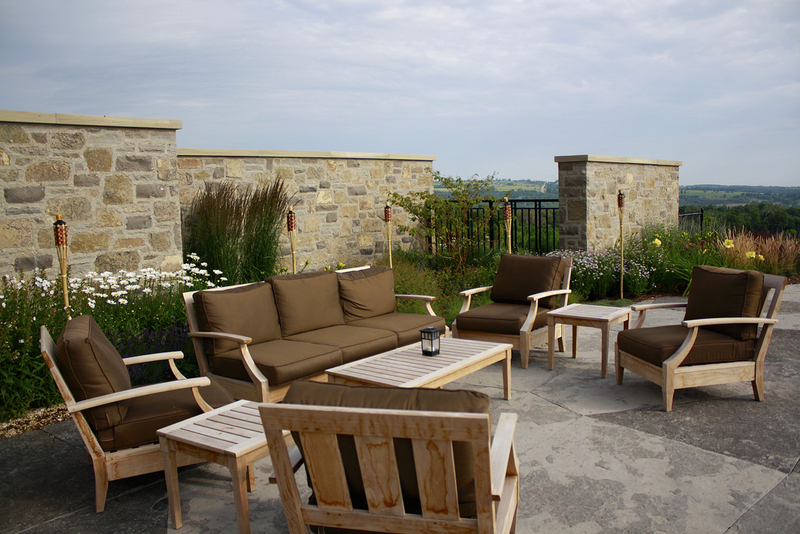 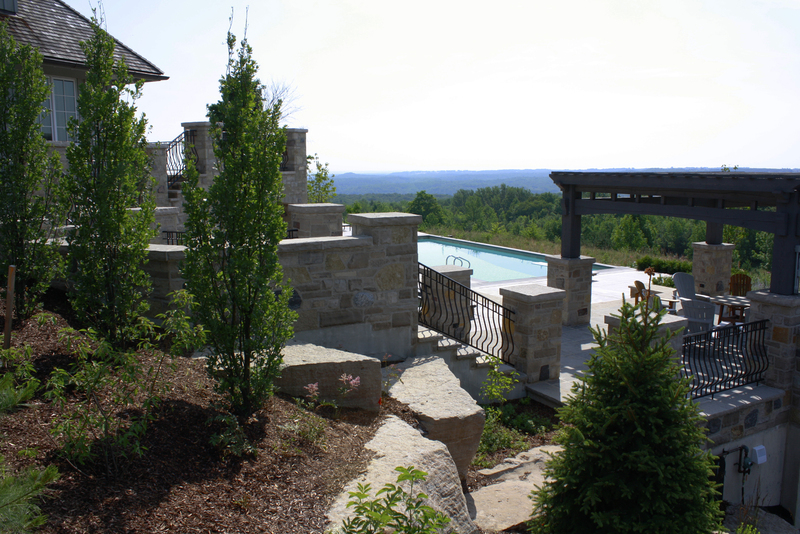 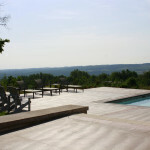 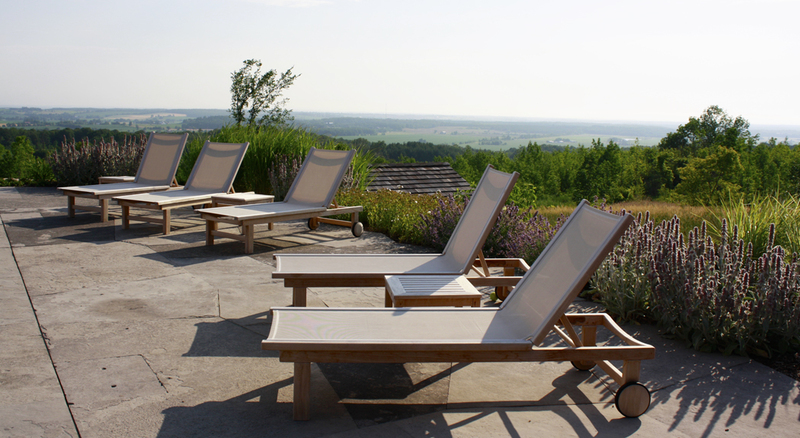 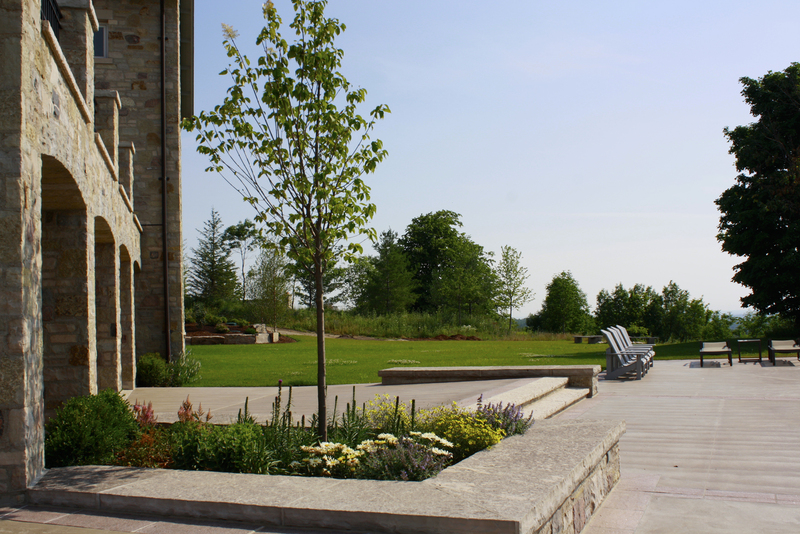 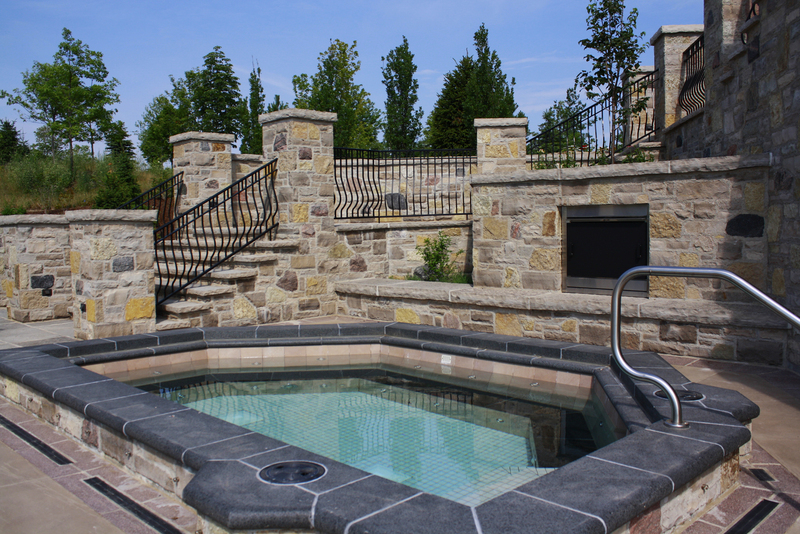 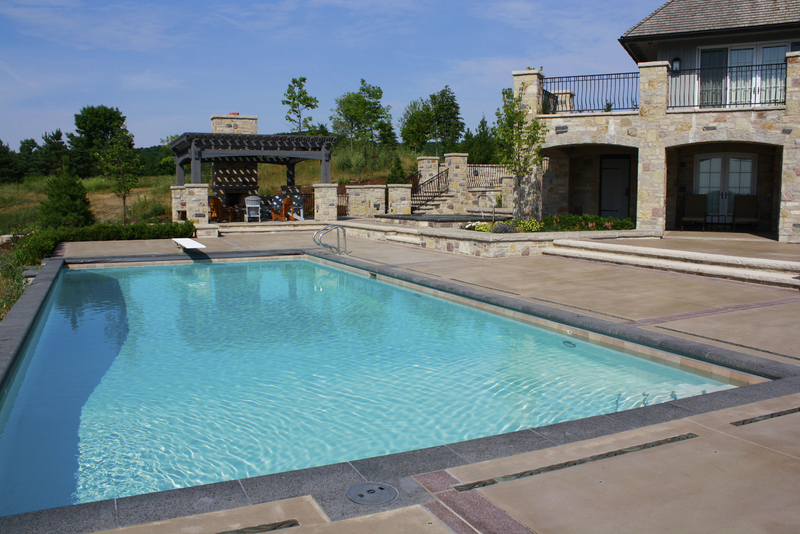 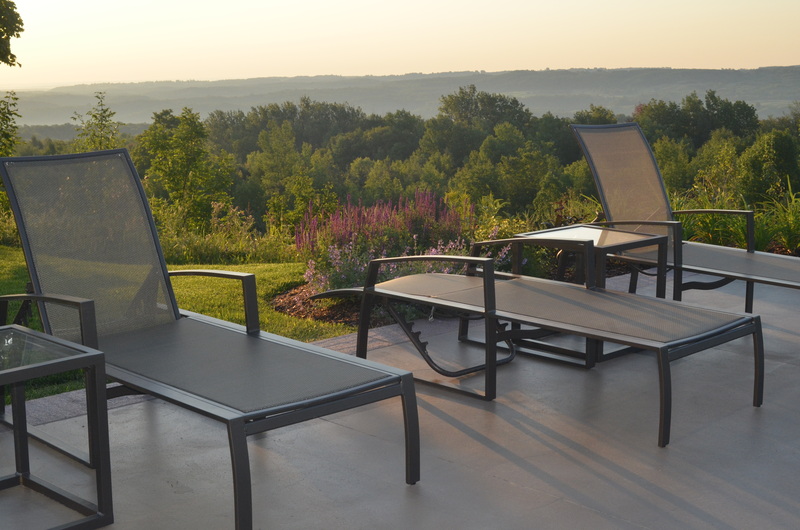 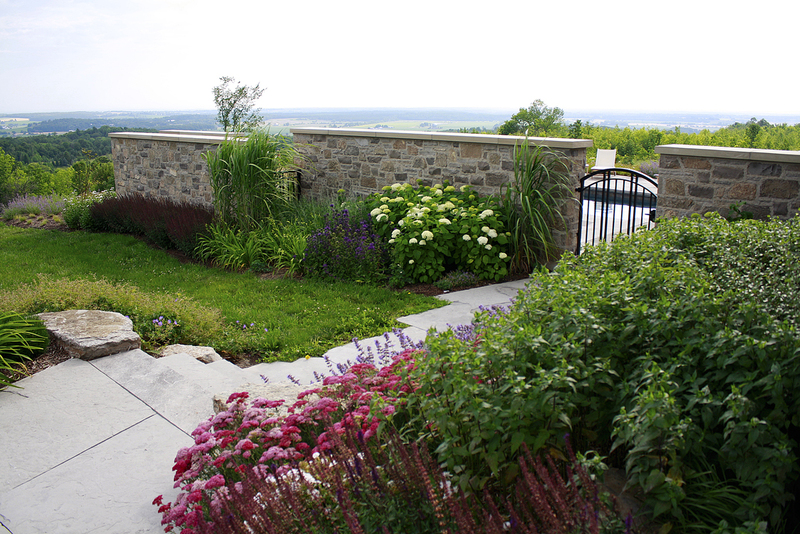 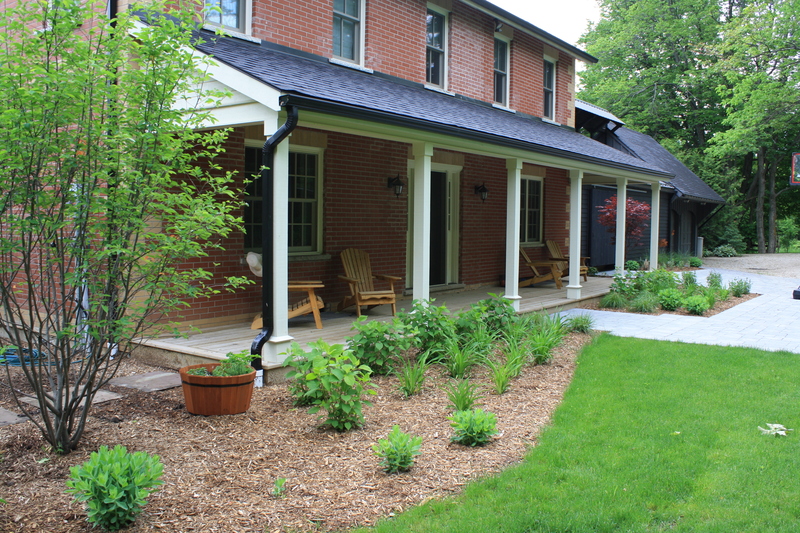 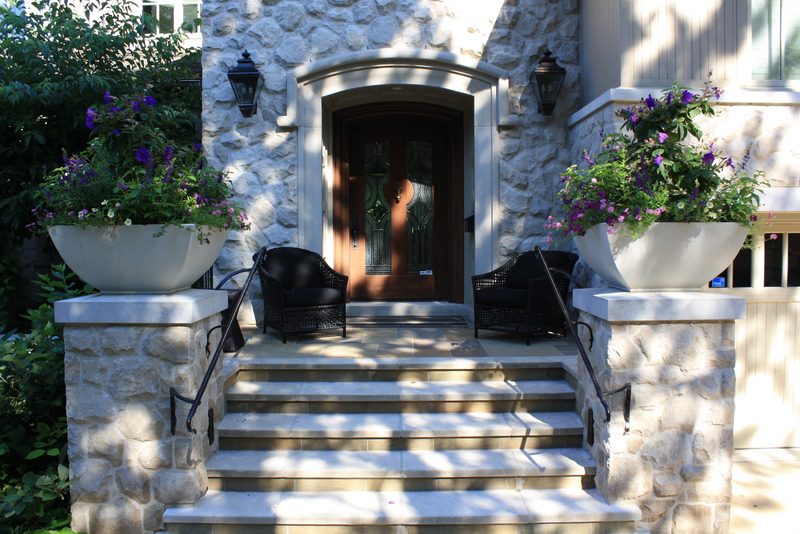 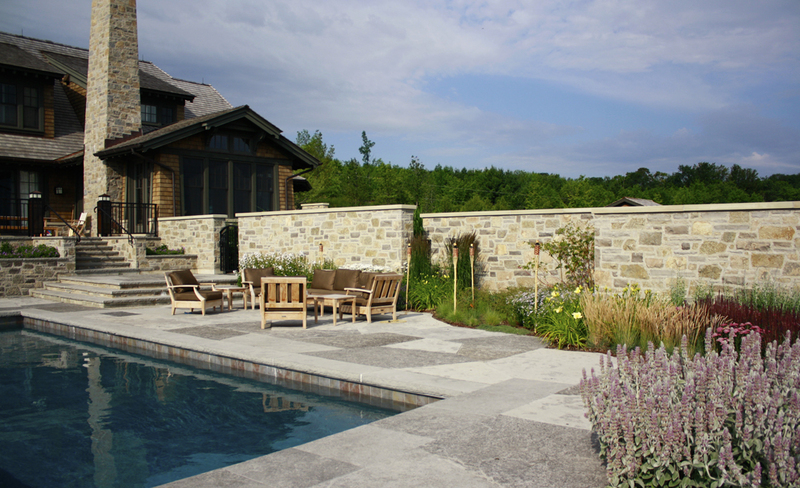 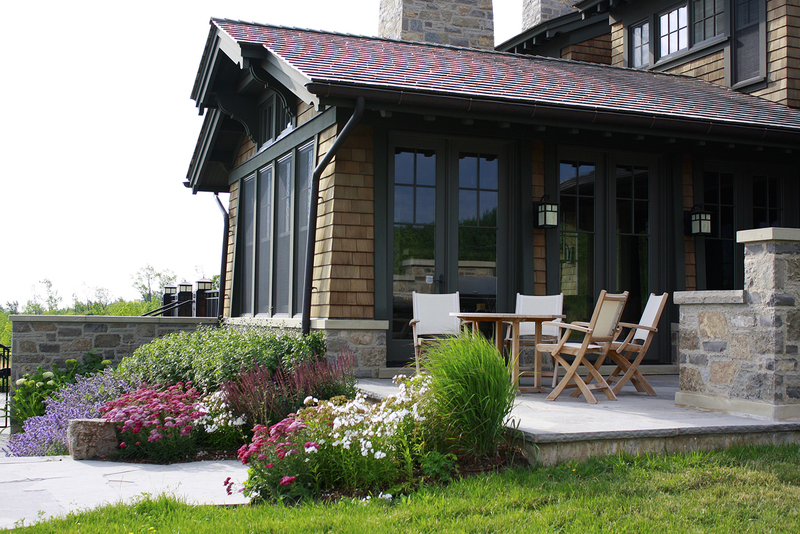 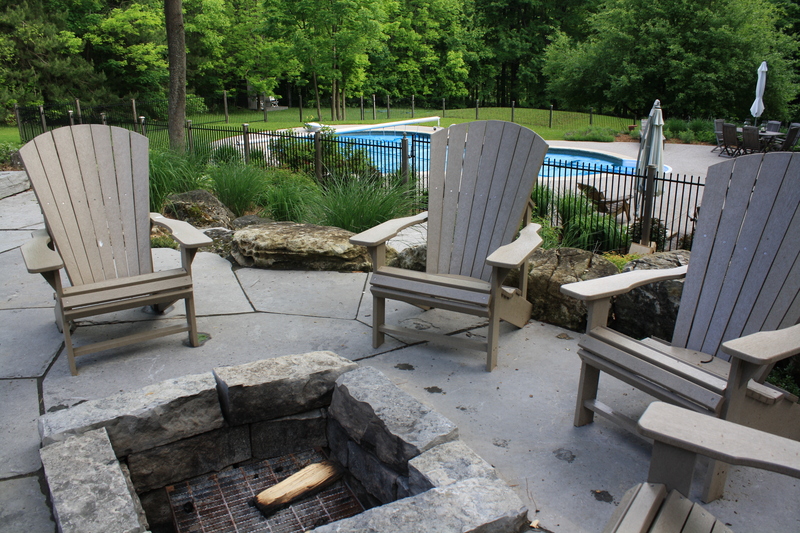 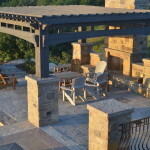 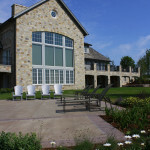 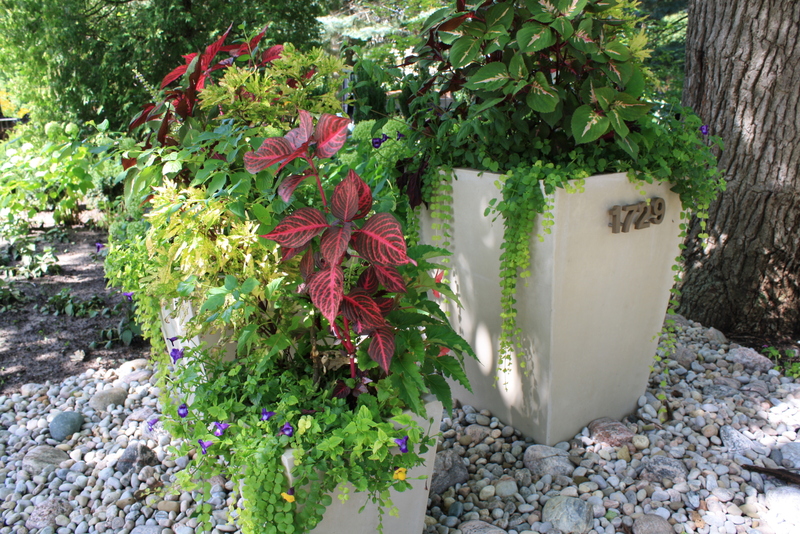 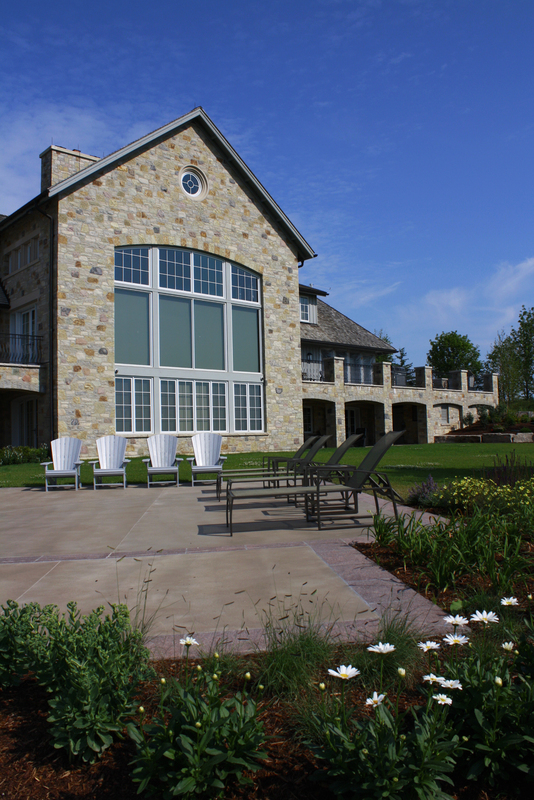 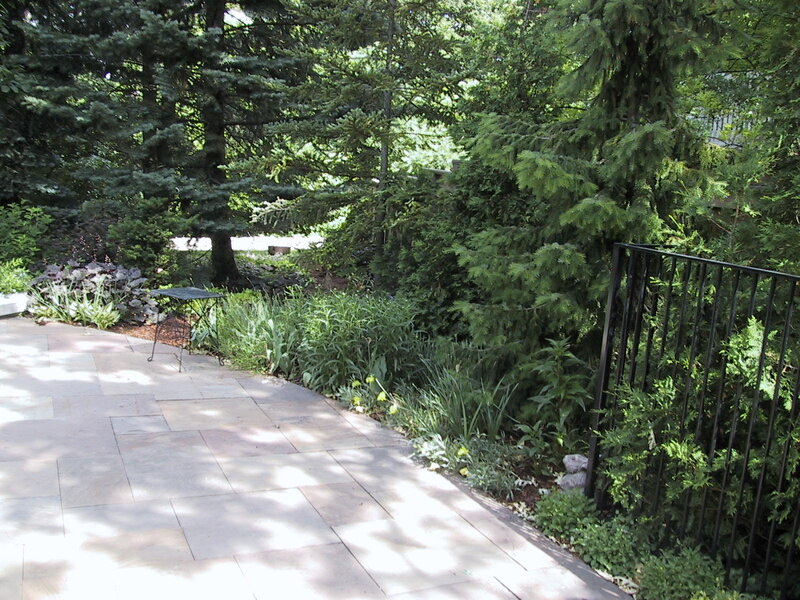 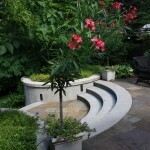 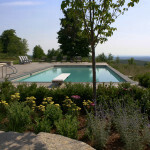 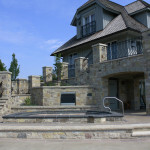 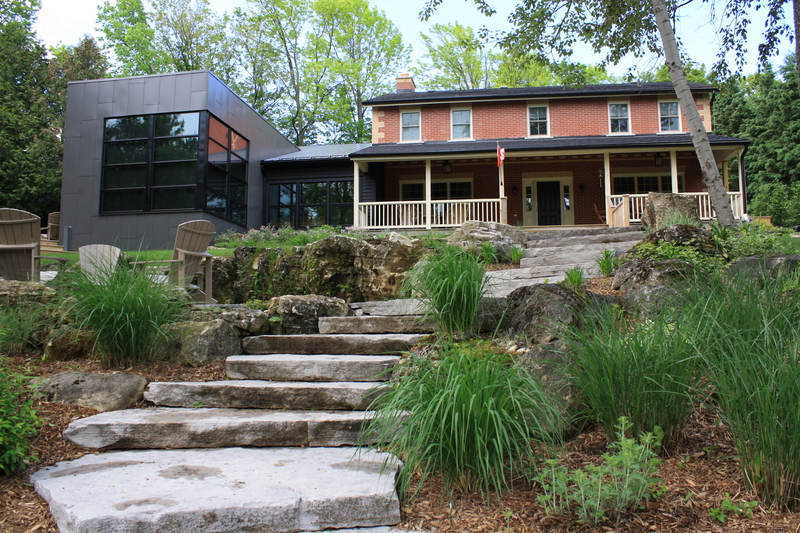 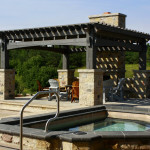 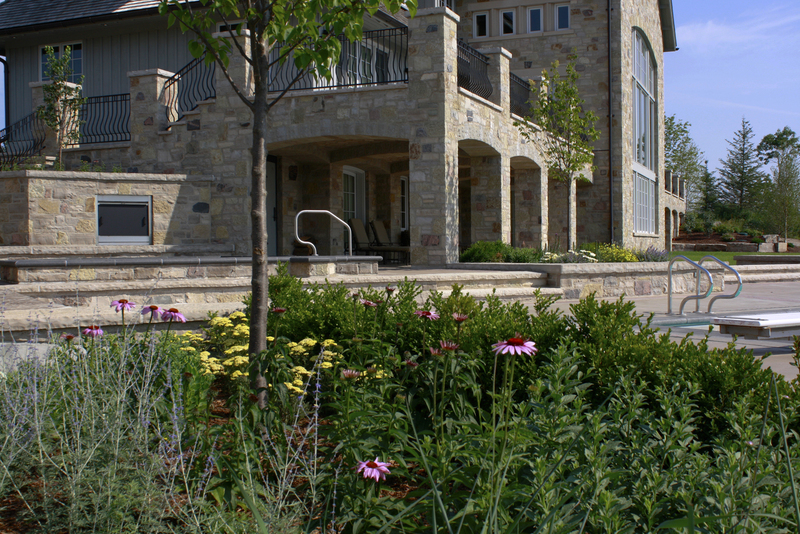 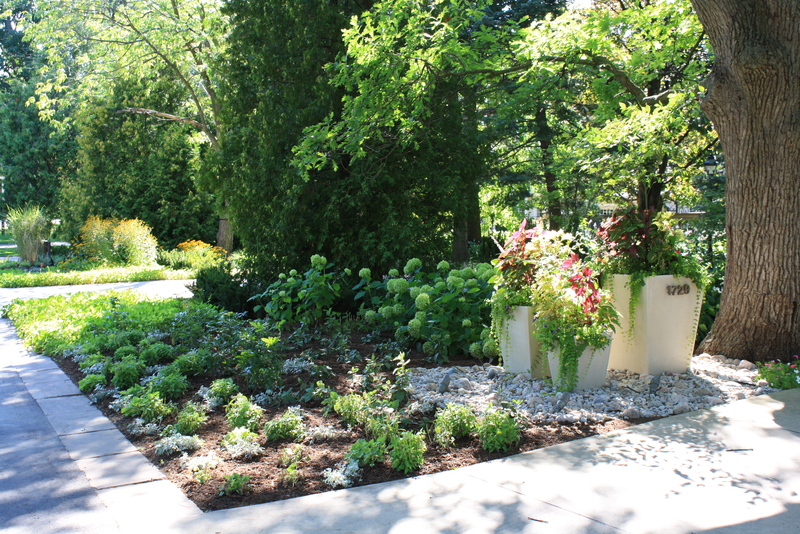 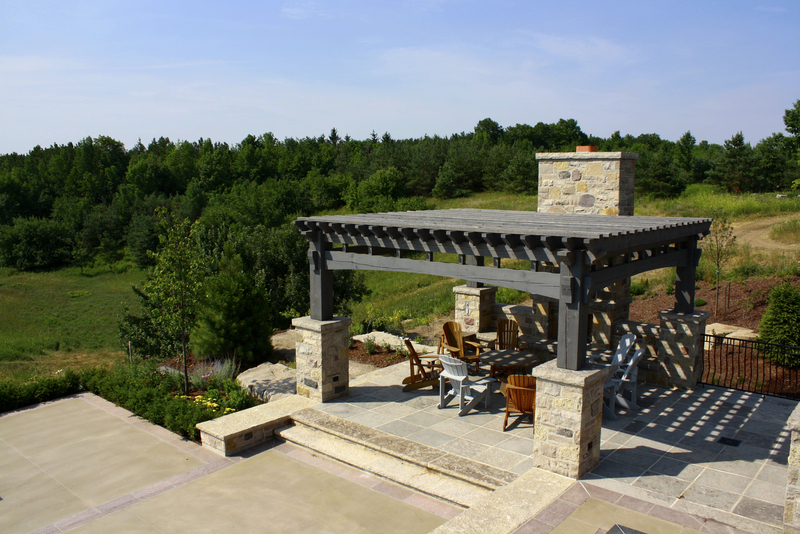 Landscape design provided large areas for corporate entertaining, as well as intimate areas for a family of four. 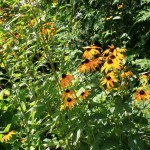 (To see larger images, just click on any photo).